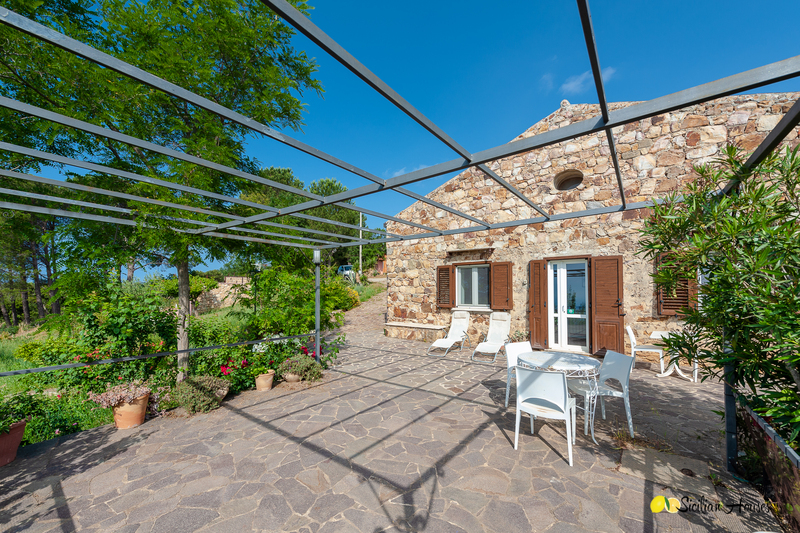 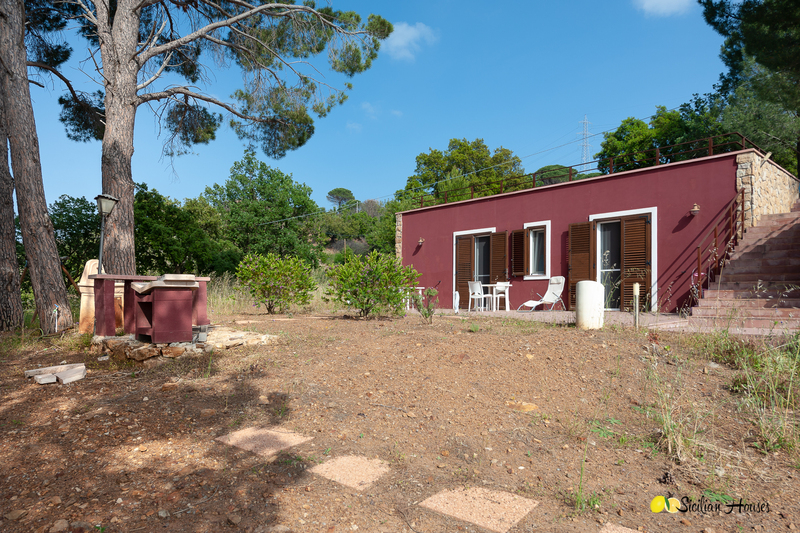 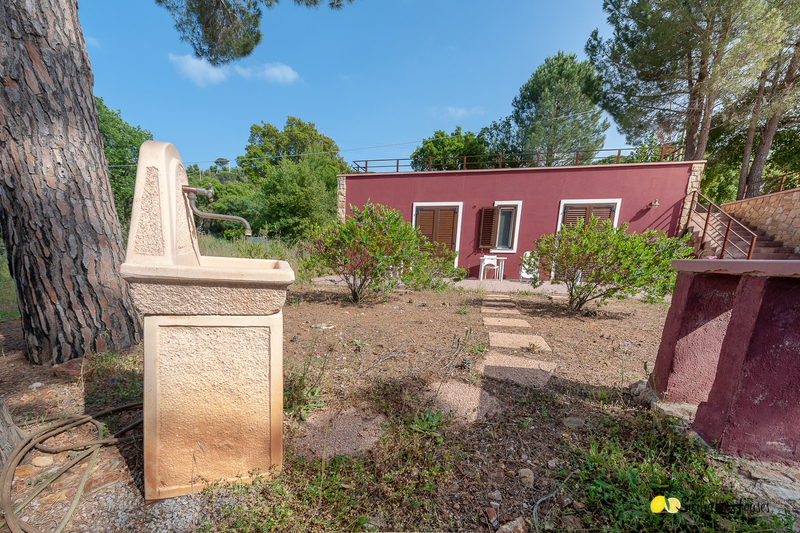 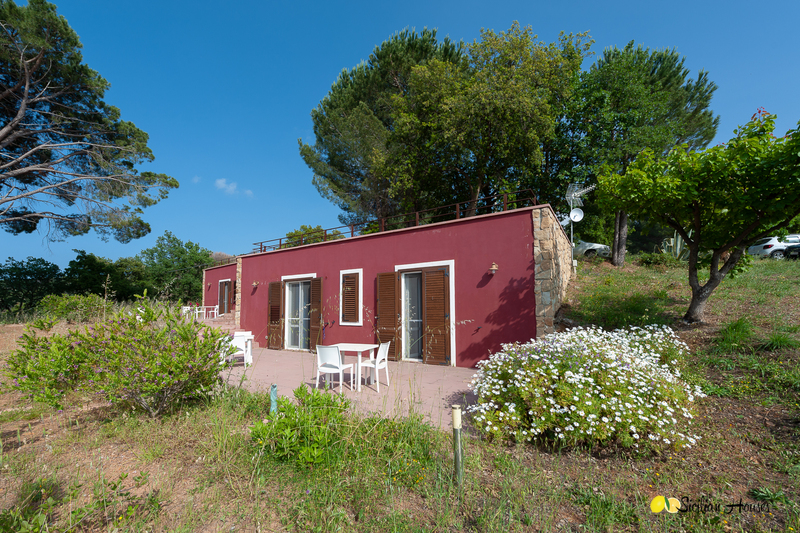 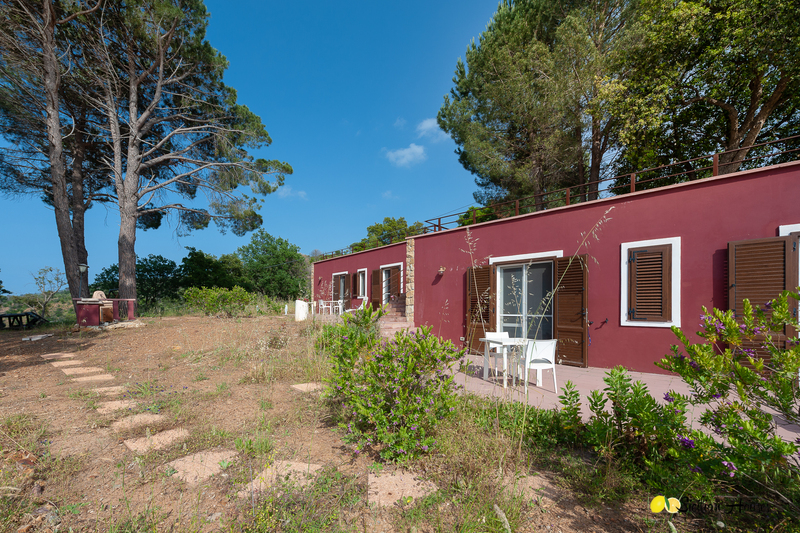 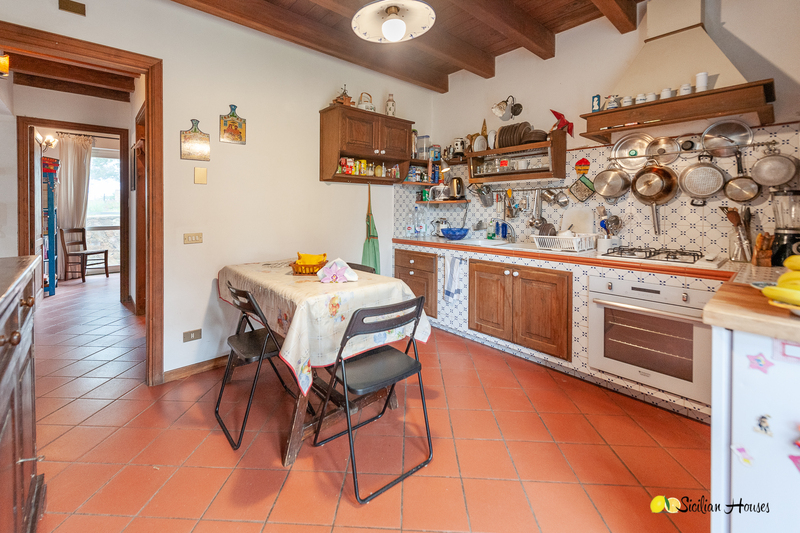 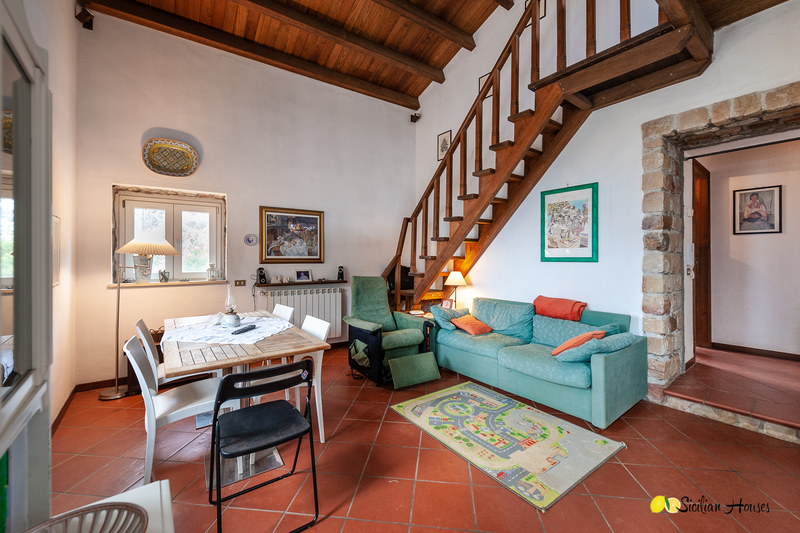 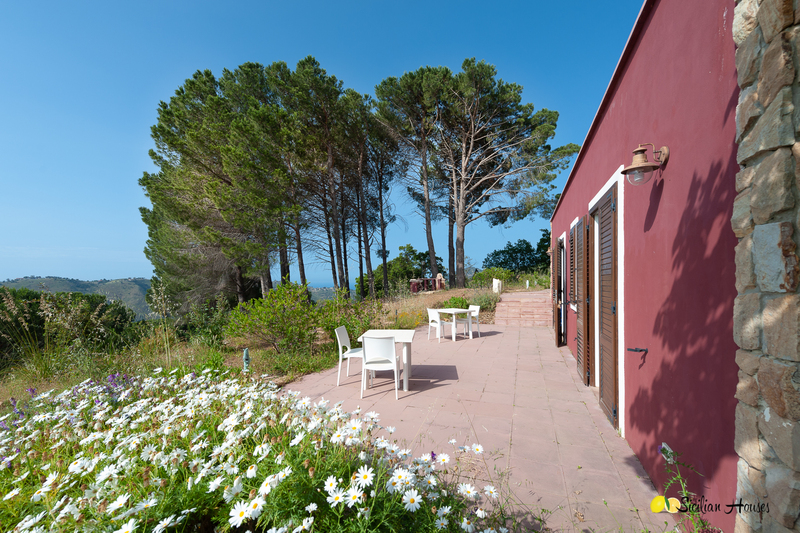 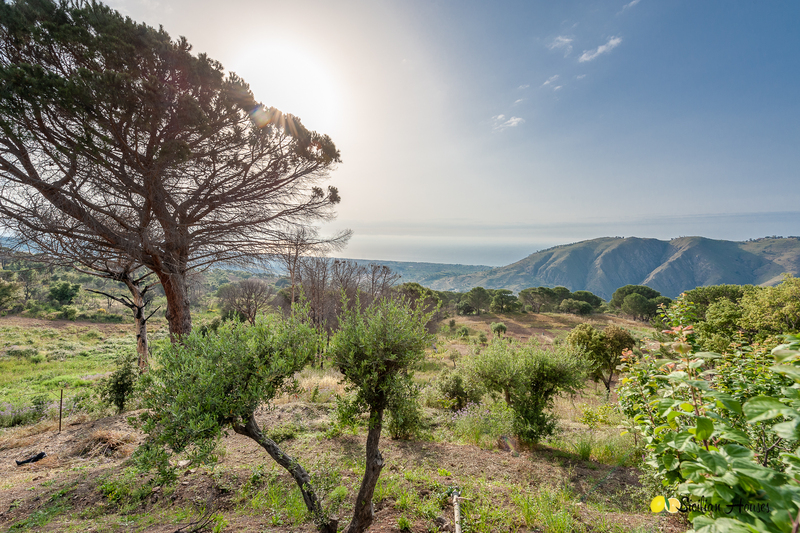 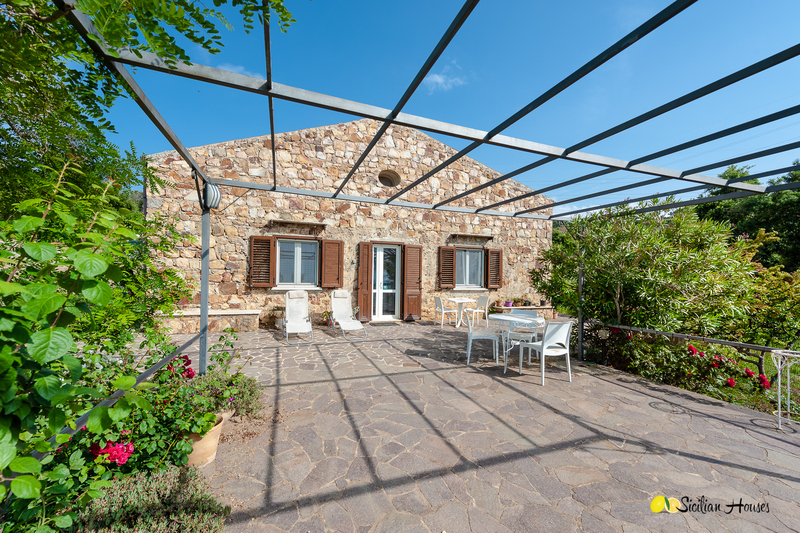 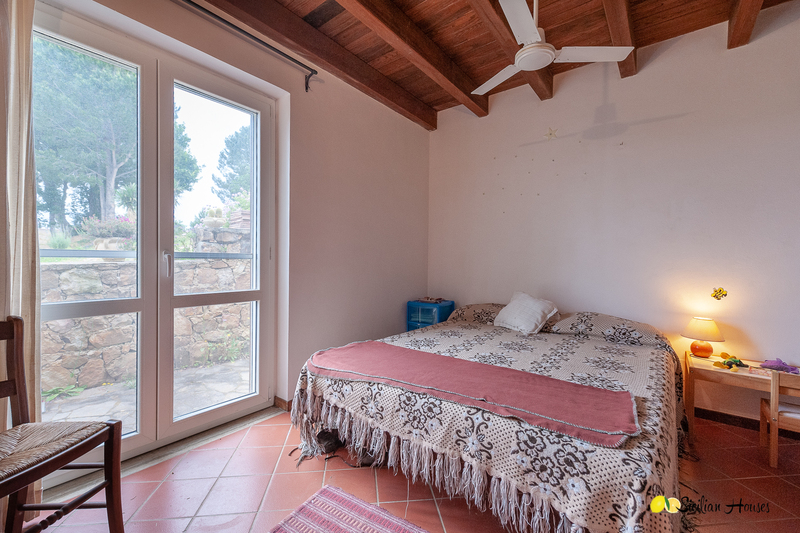 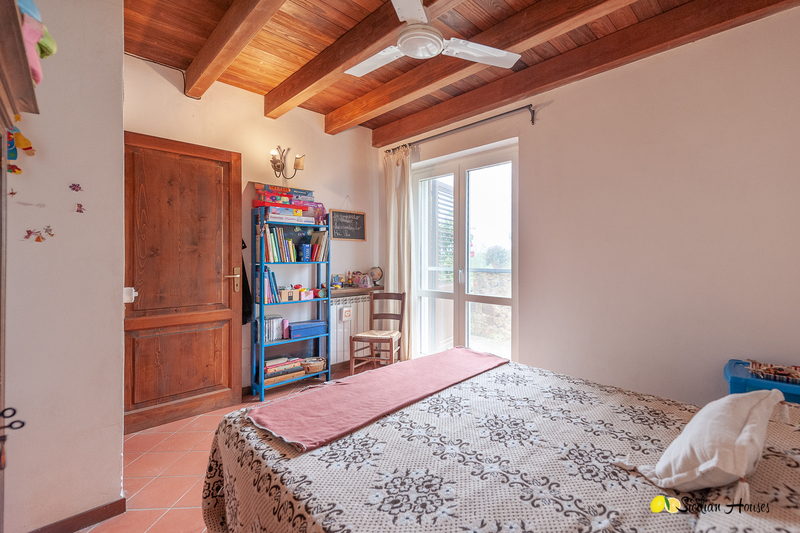 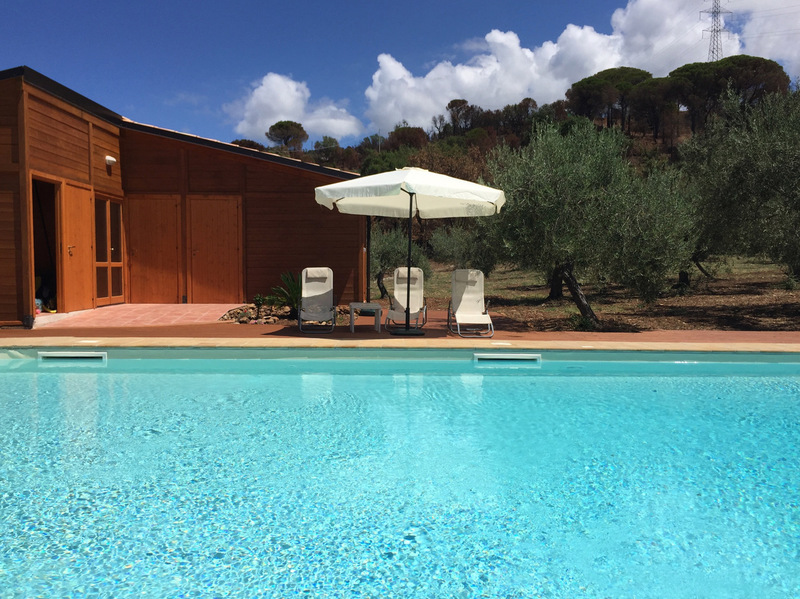 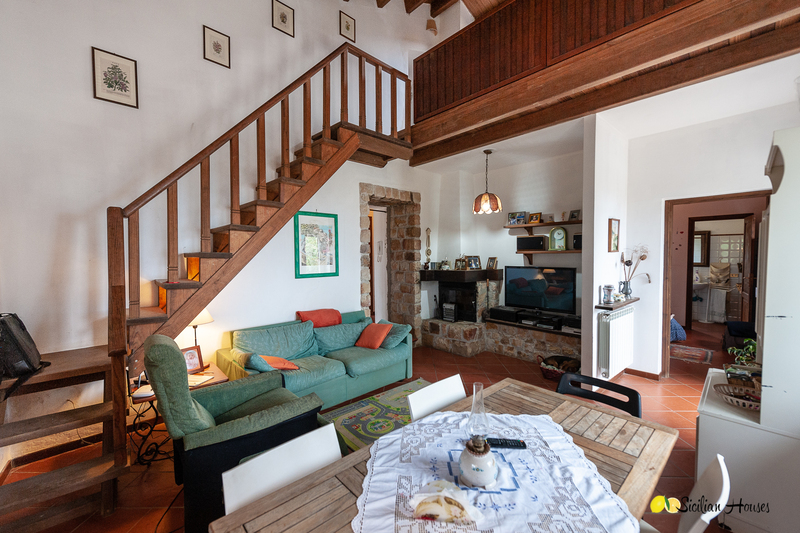 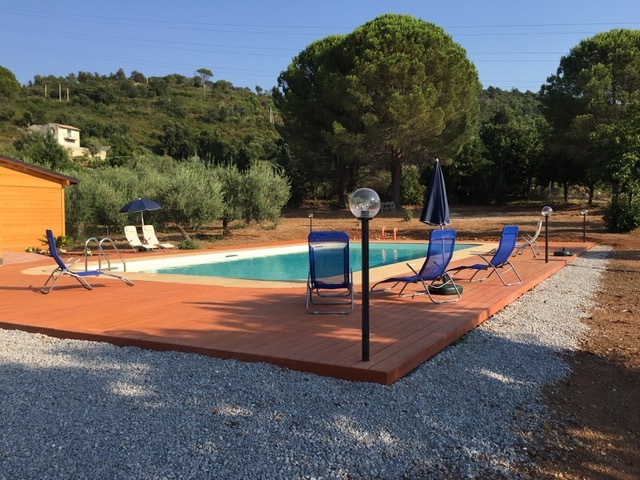 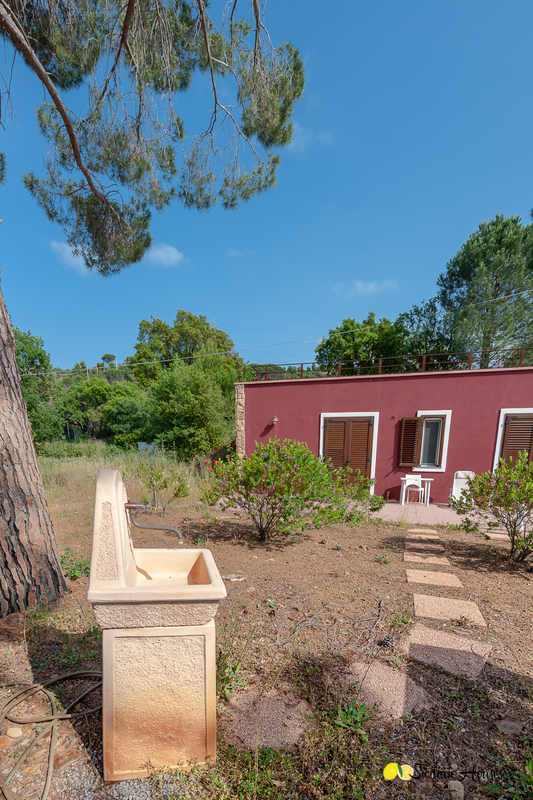 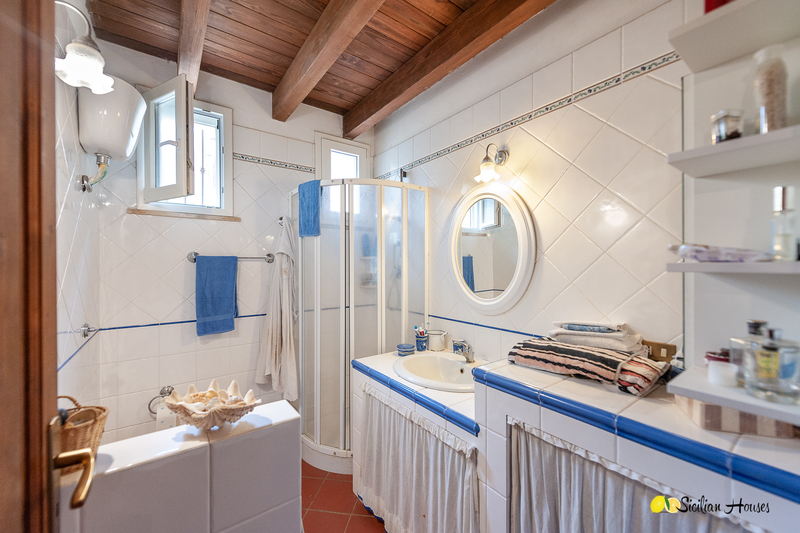 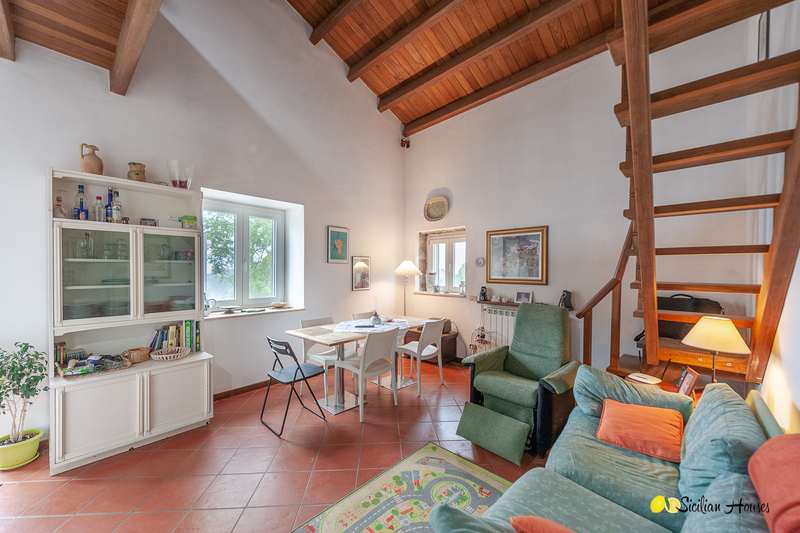 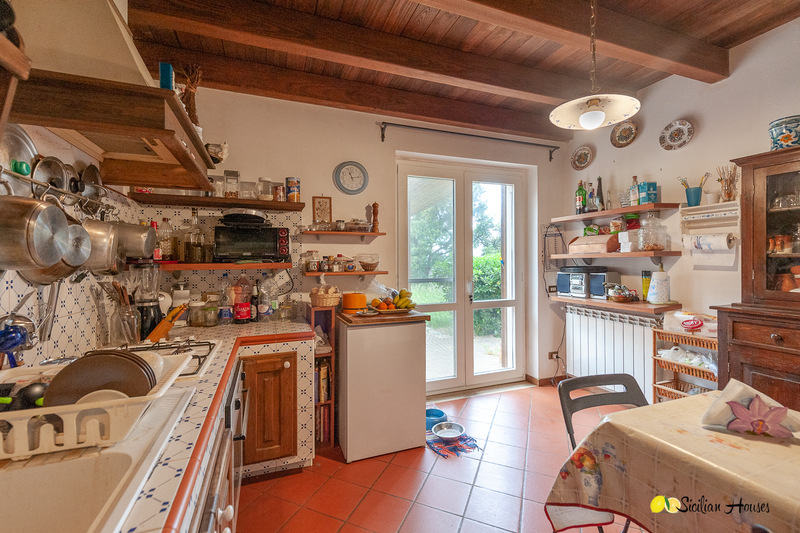 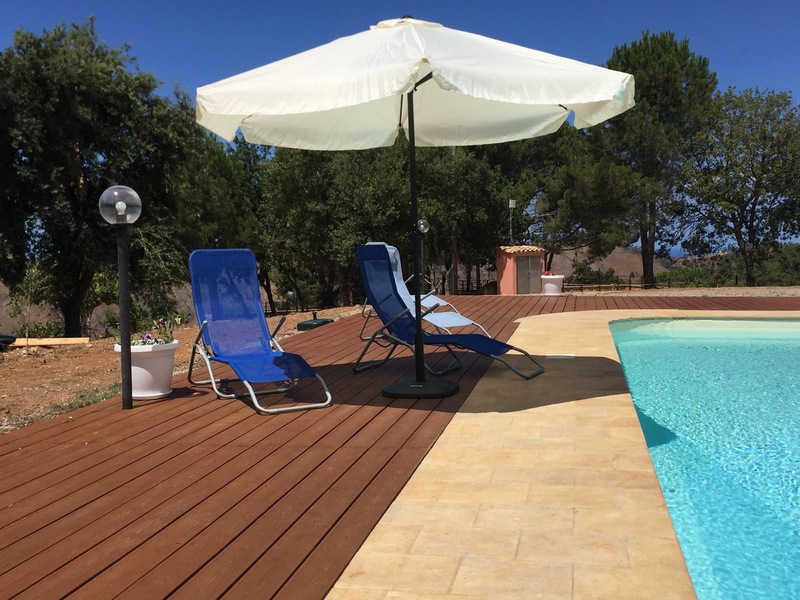 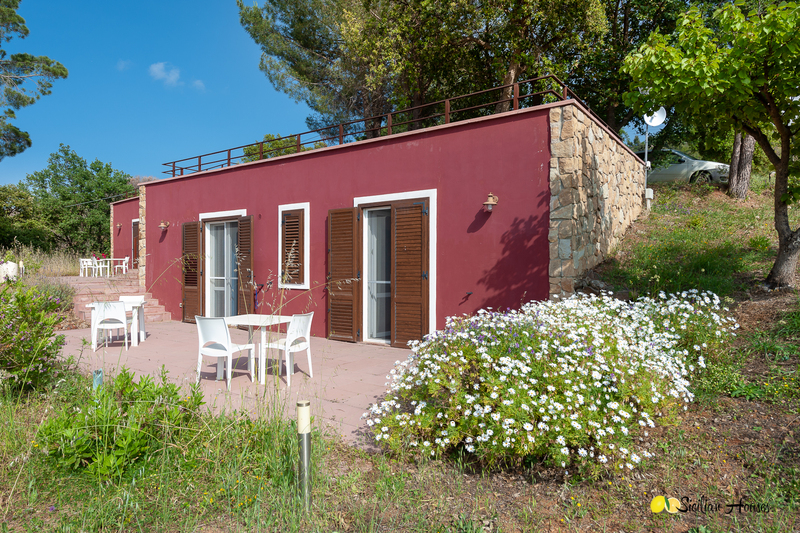 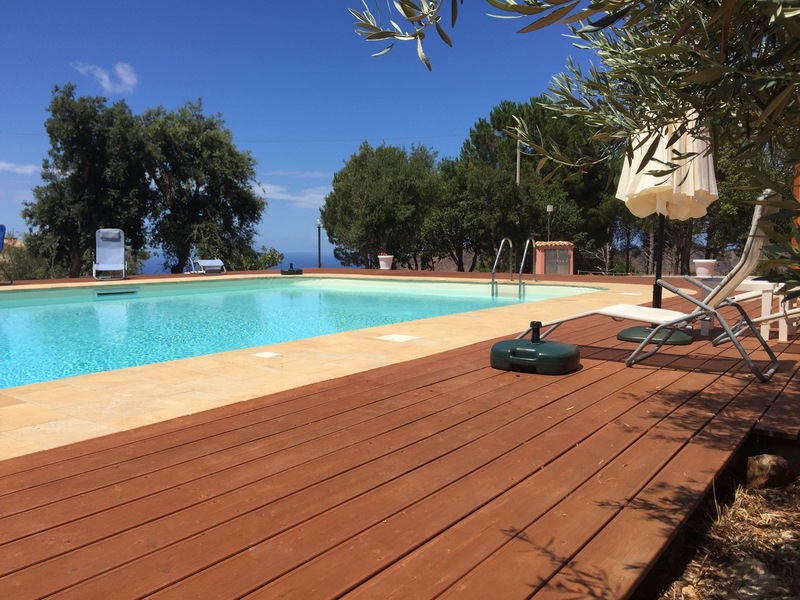 An agriturismo with wonderful sea views, secluded and still with the town of Lascari and sandy beaches just some 5-10 minutes away. 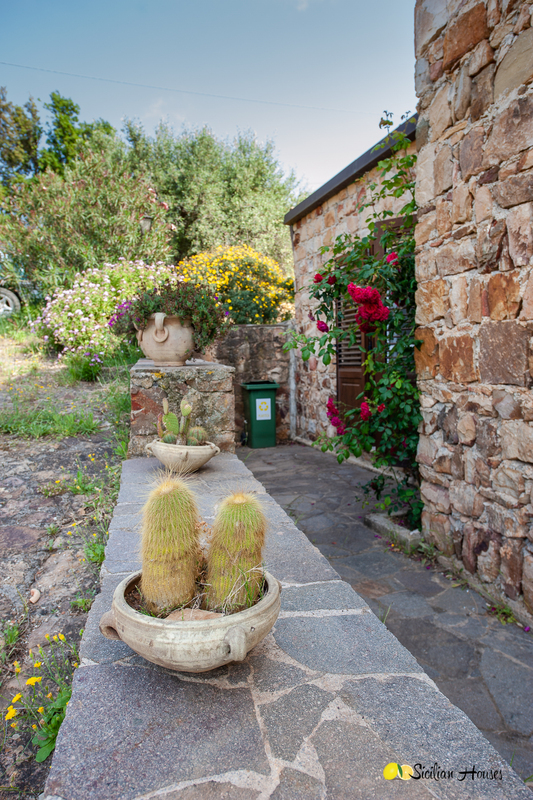 Also, the small, cute mountain town of Gratteri is 10 minutes drive away. 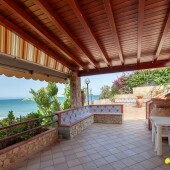 Cefalu is within 20 minutes drive, which is, of course, a great asset from a marketing point of view. 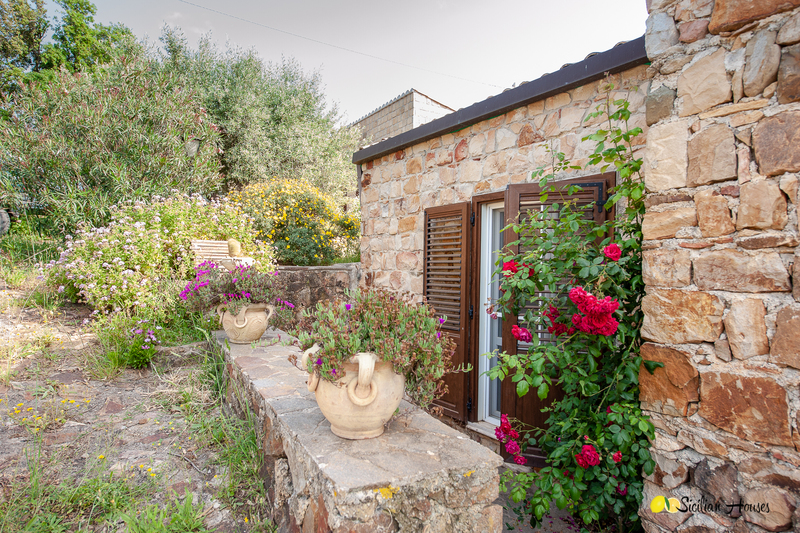 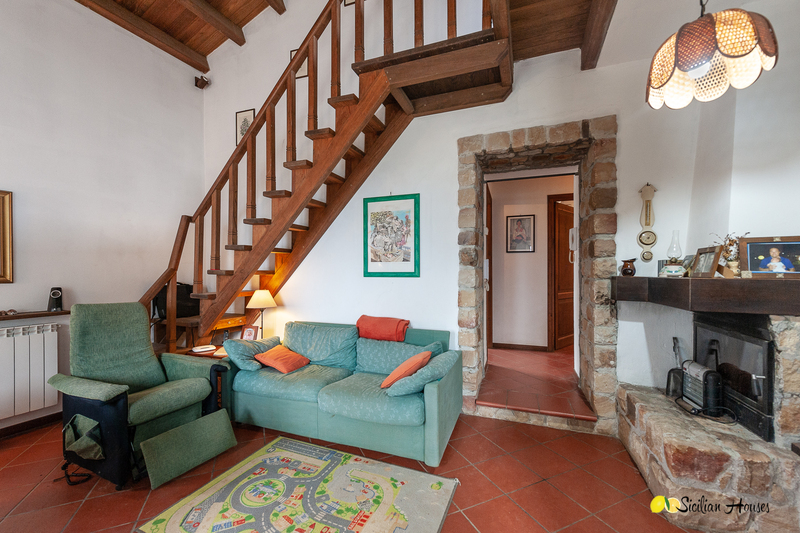 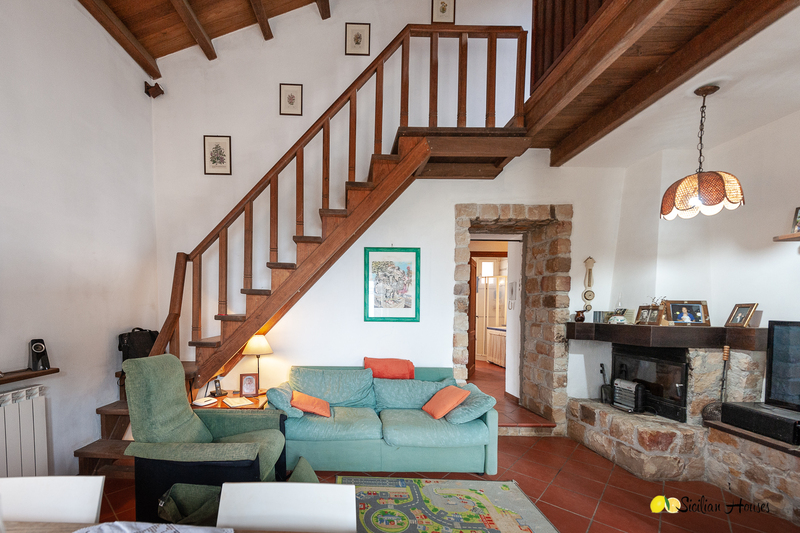 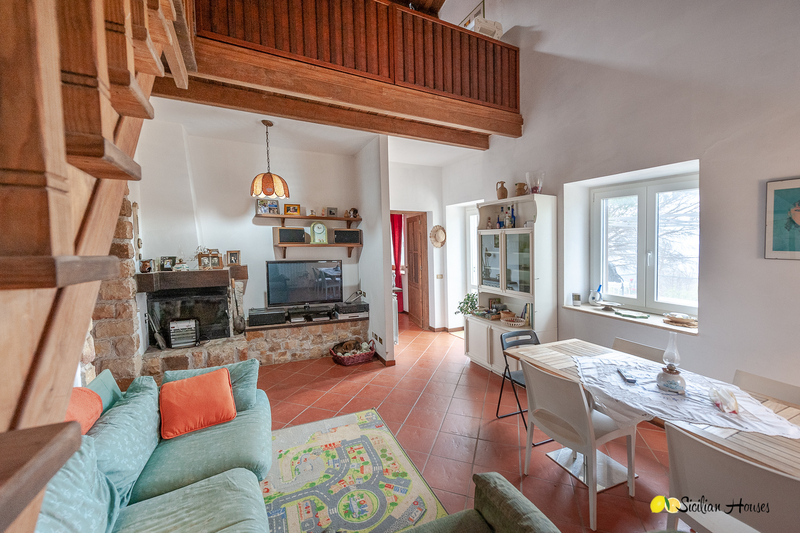 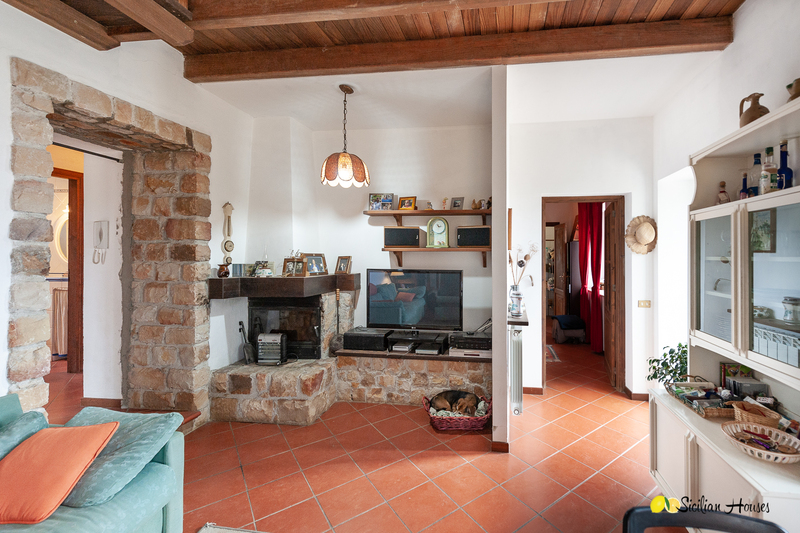 Here we find a restored stone house for the owners, with a kitchen, living room, two bedrooms and a bathroom downstairs. 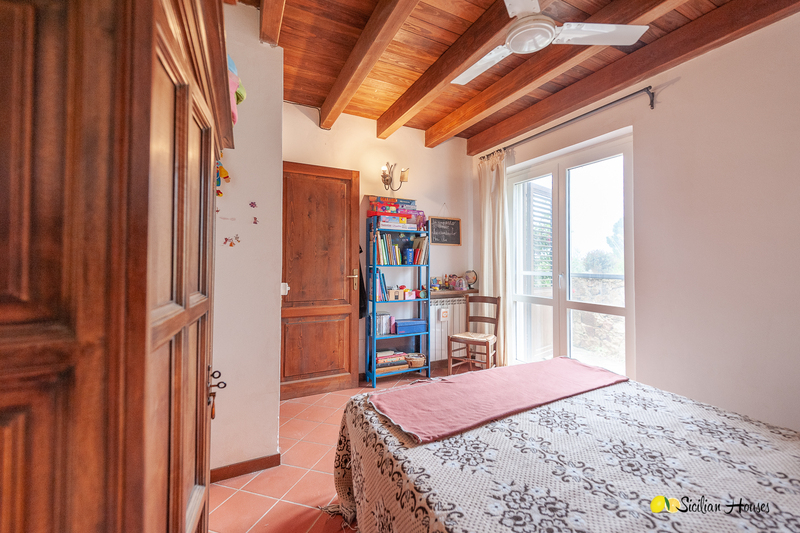 Upstairs is another room, suitable for a studio, library or movie room. 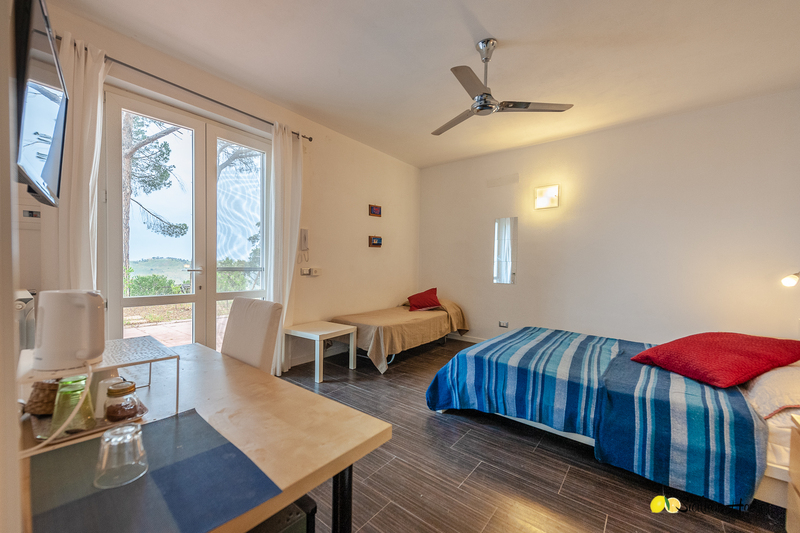 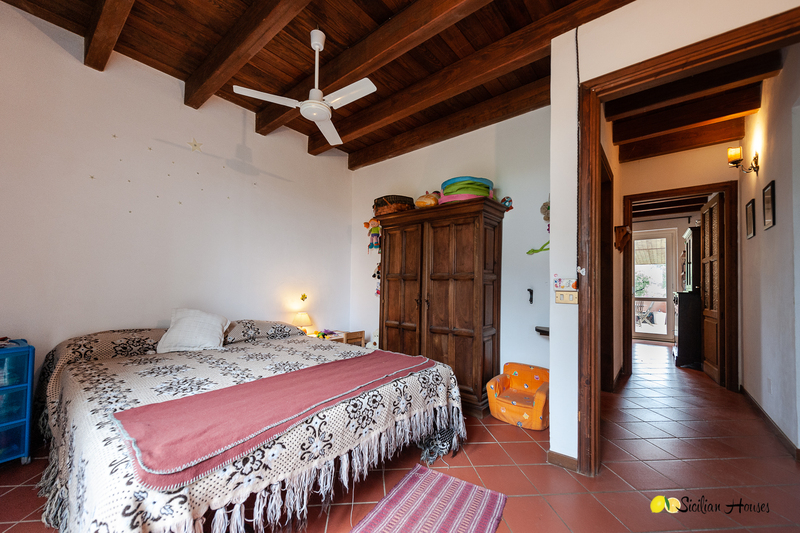 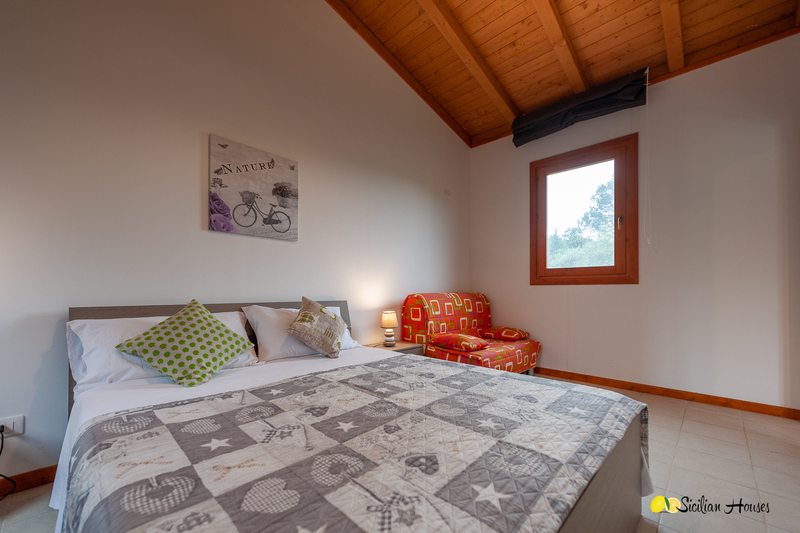 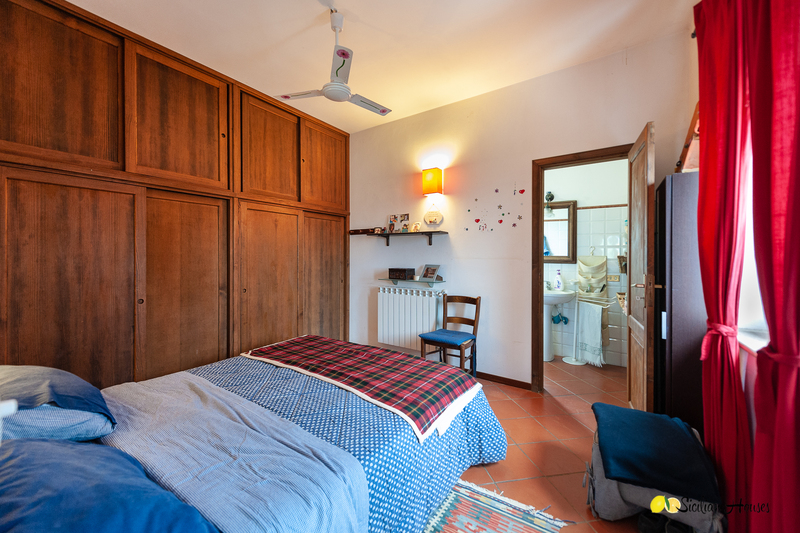 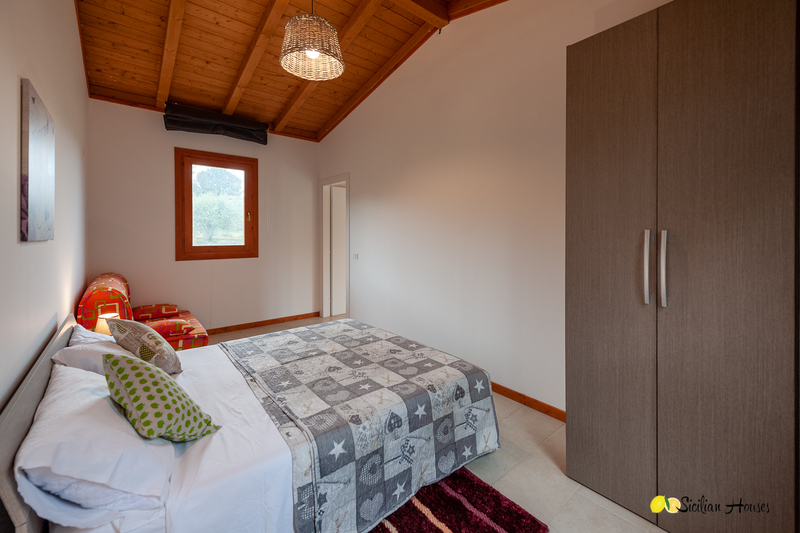 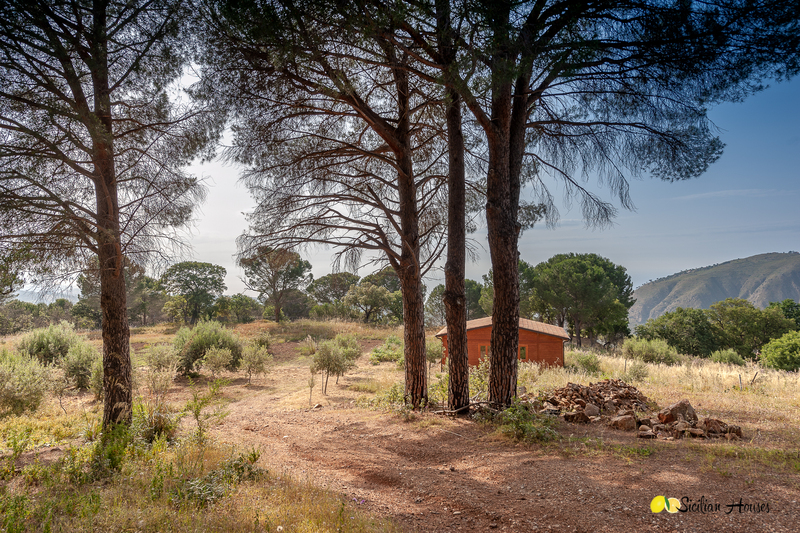 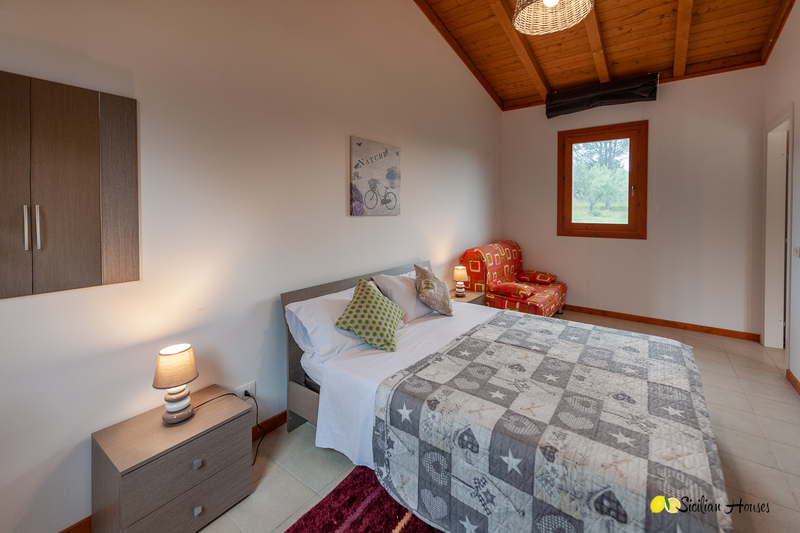 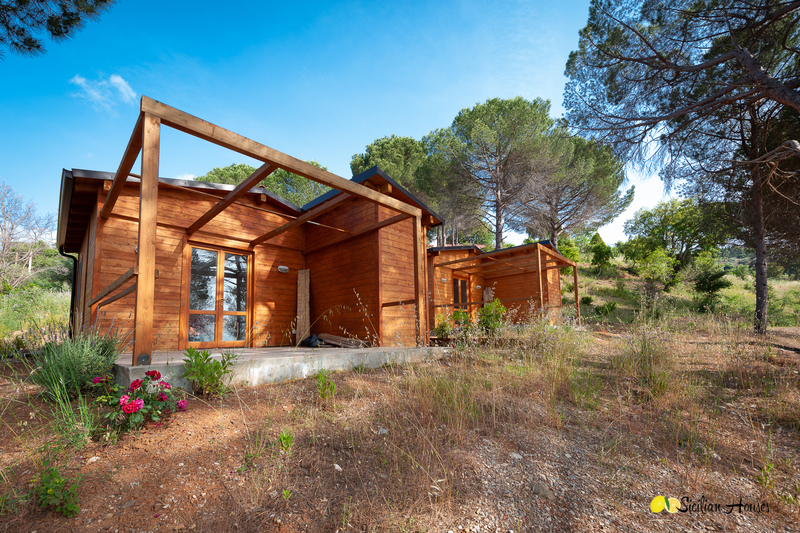 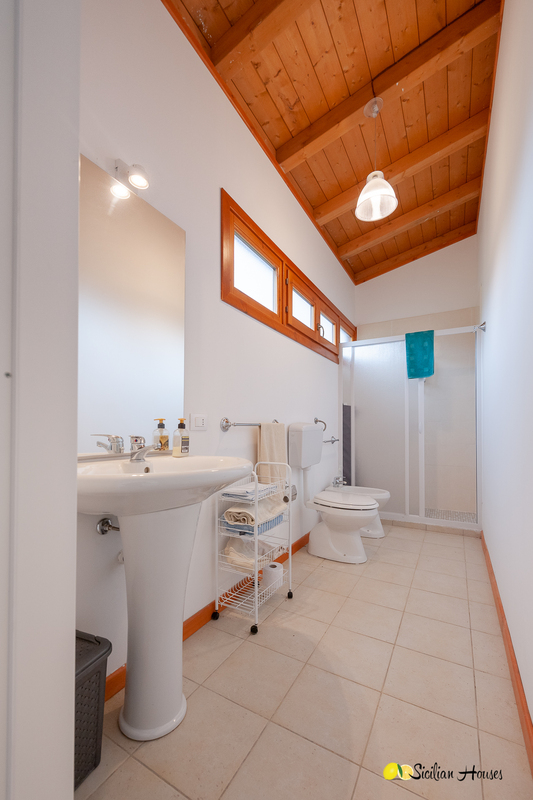 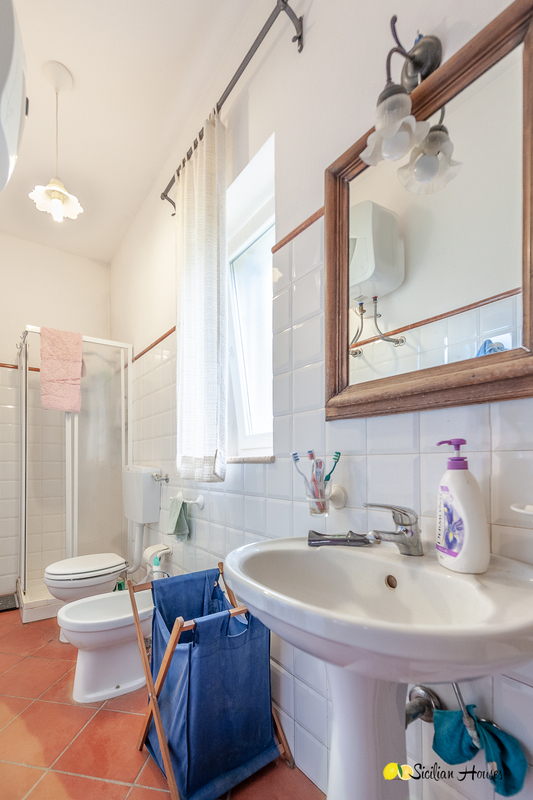 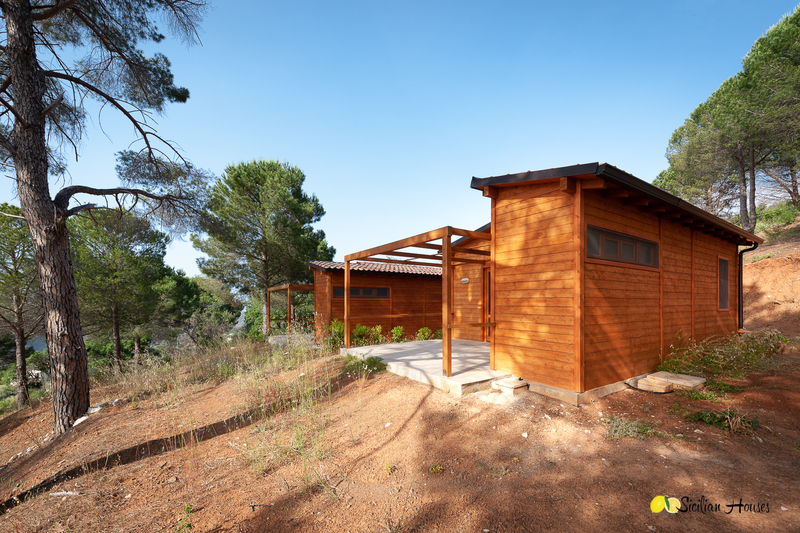 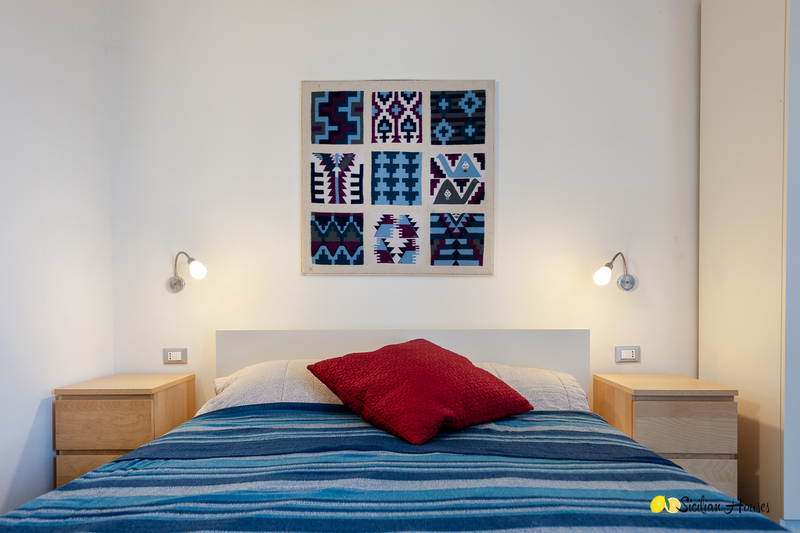 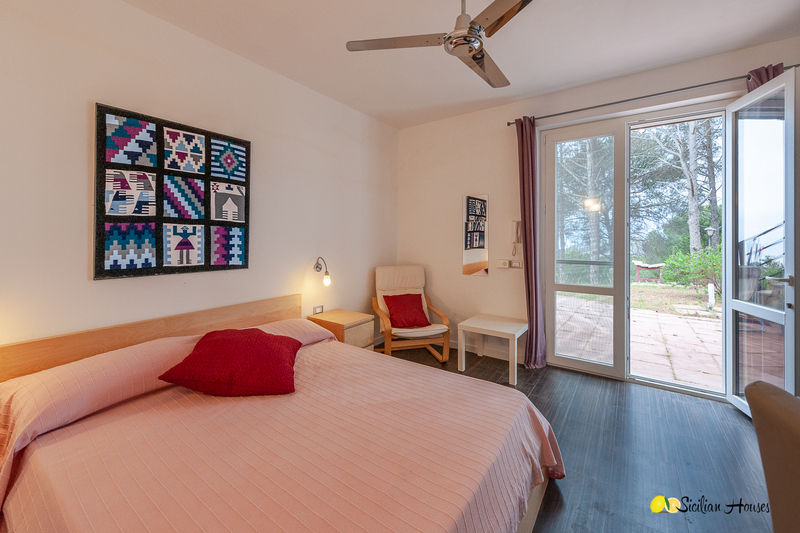 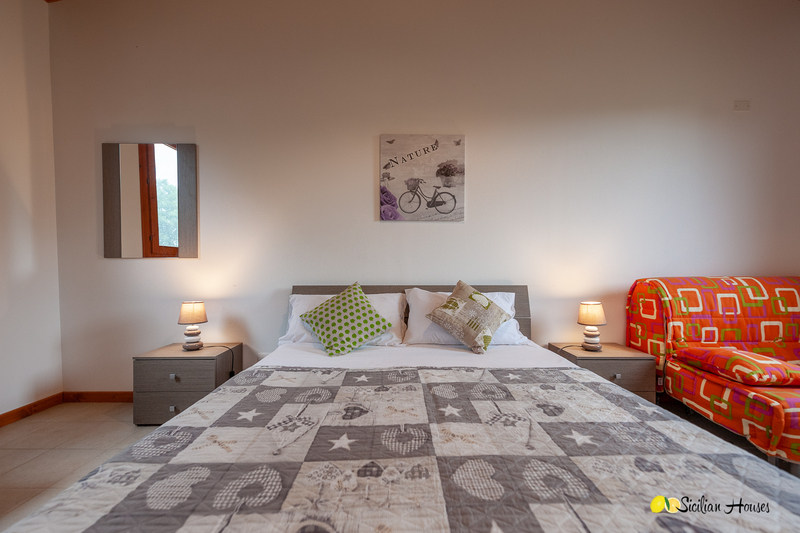 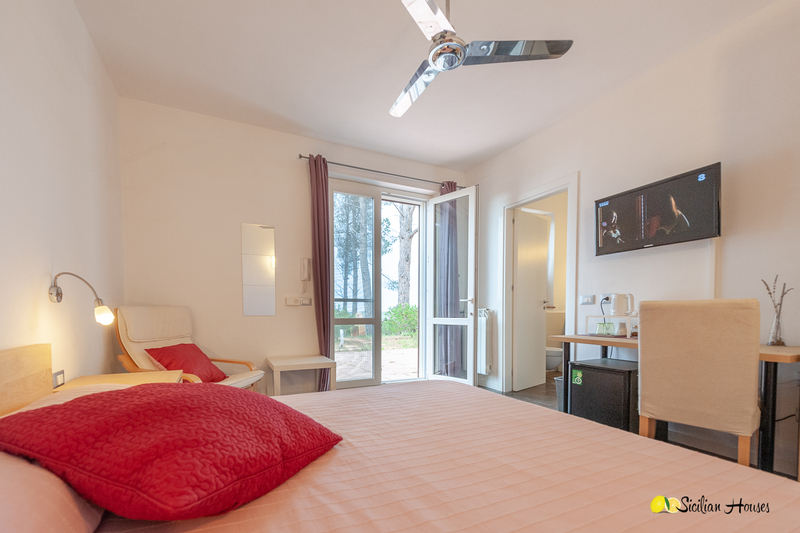 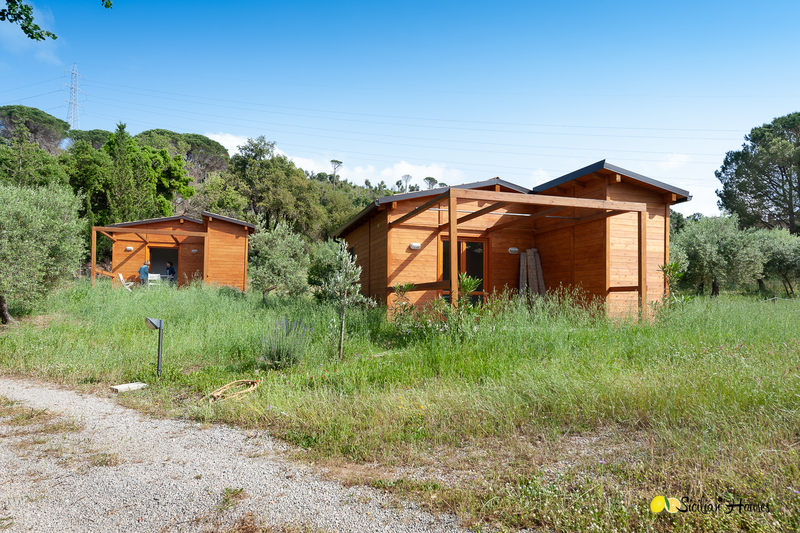 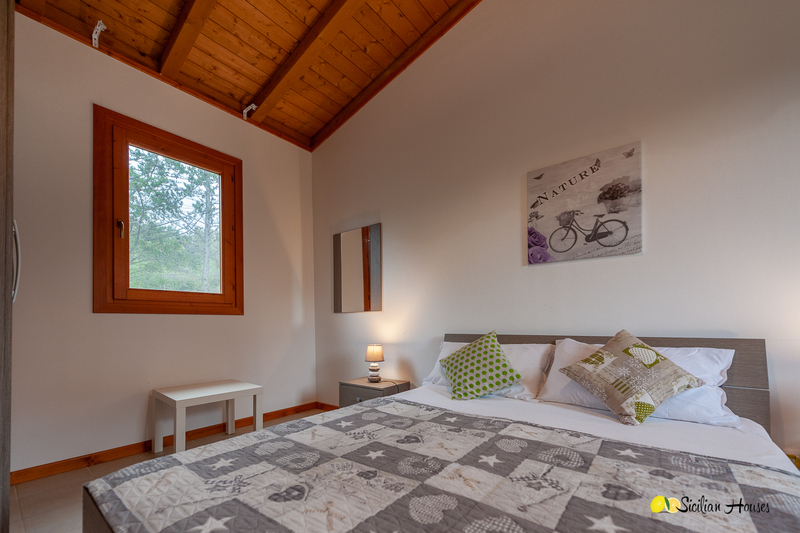 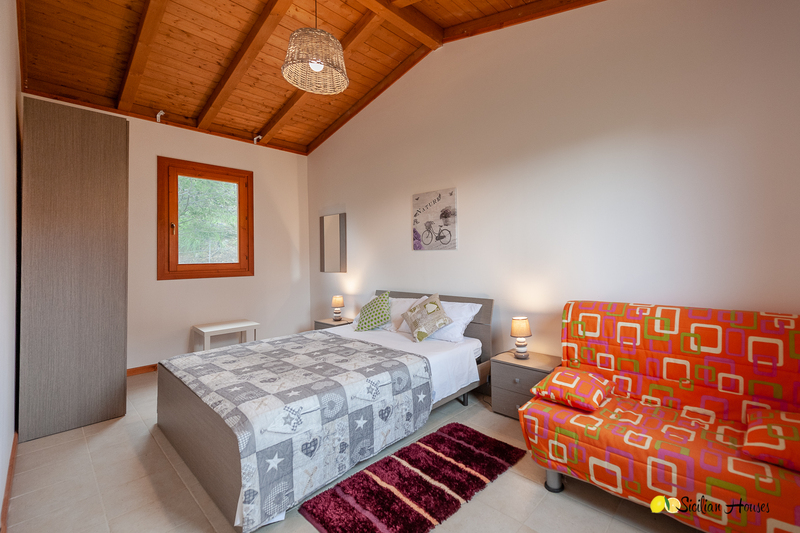 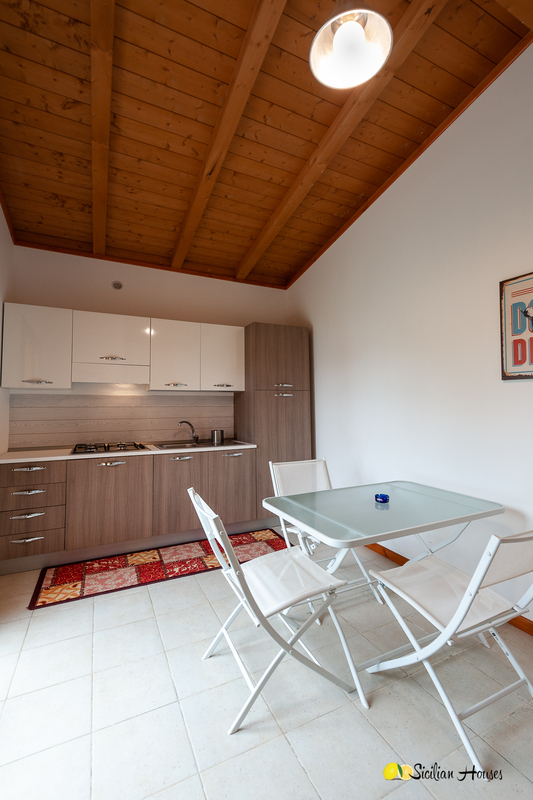 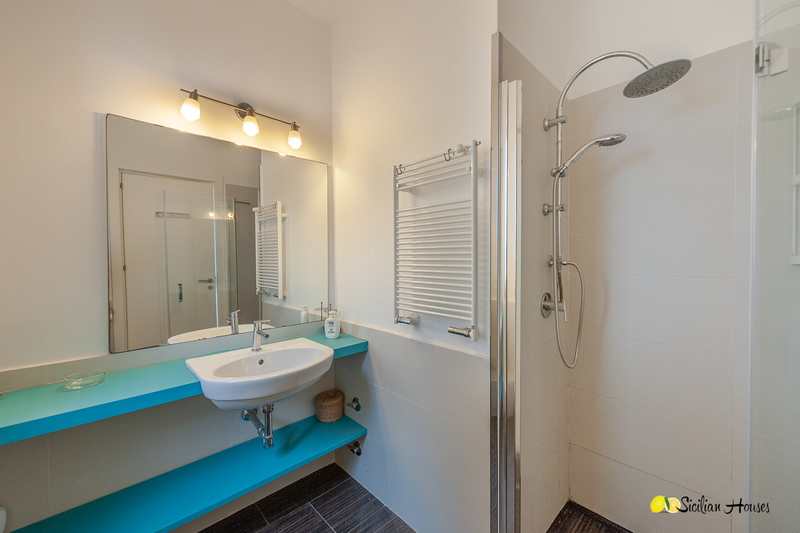 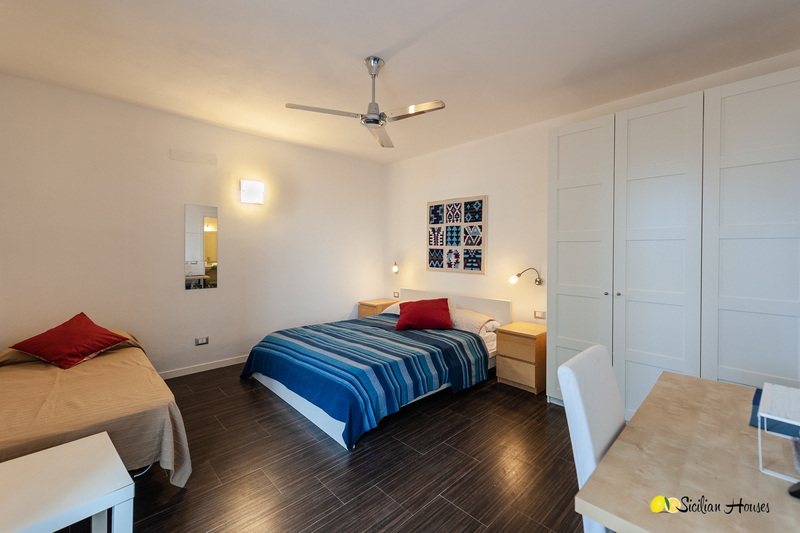 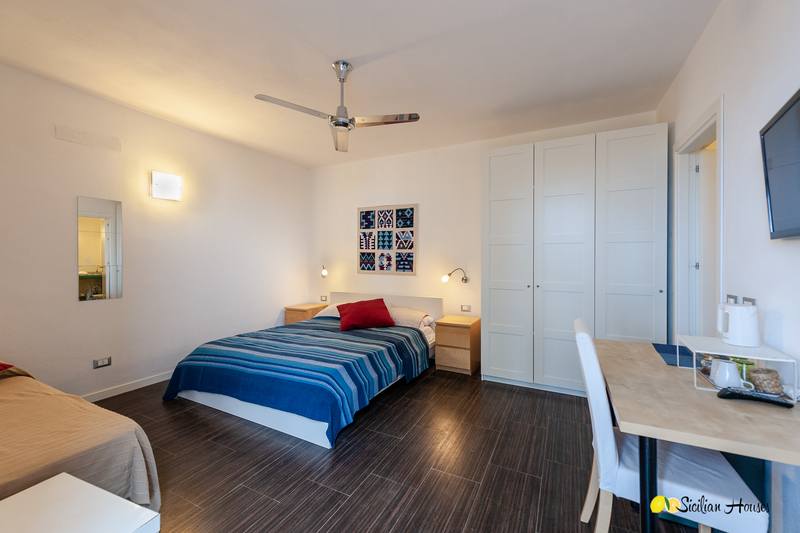 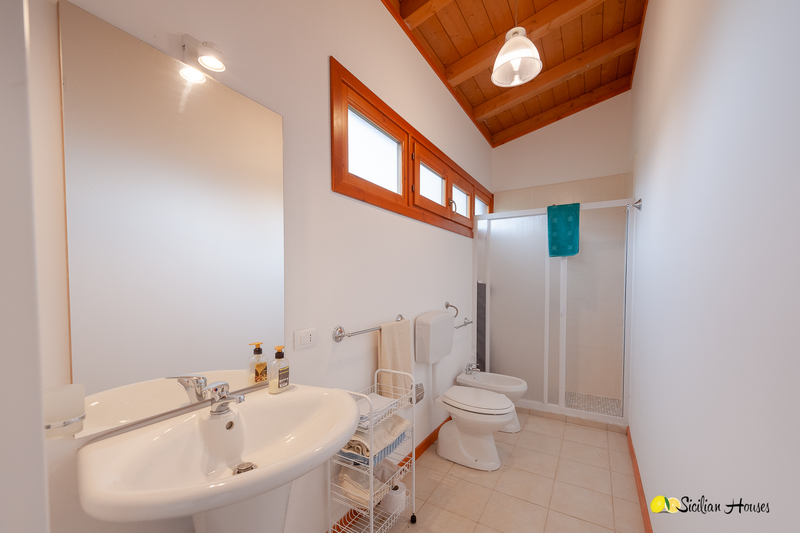 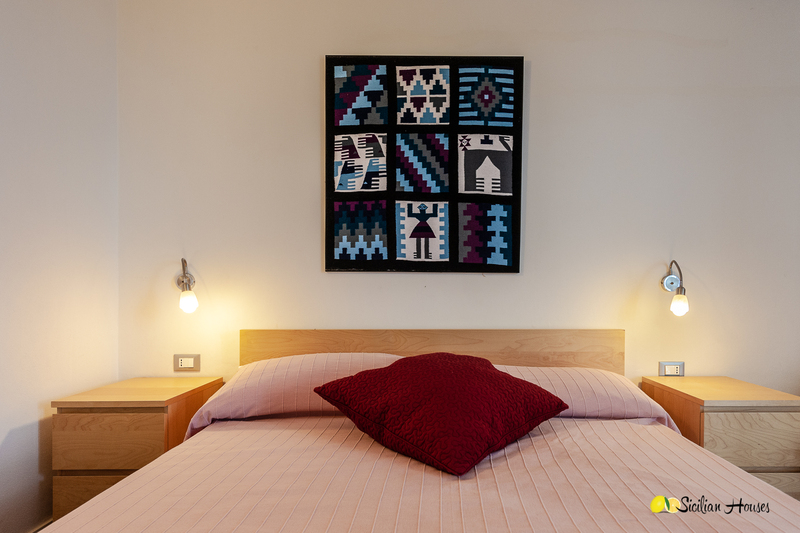 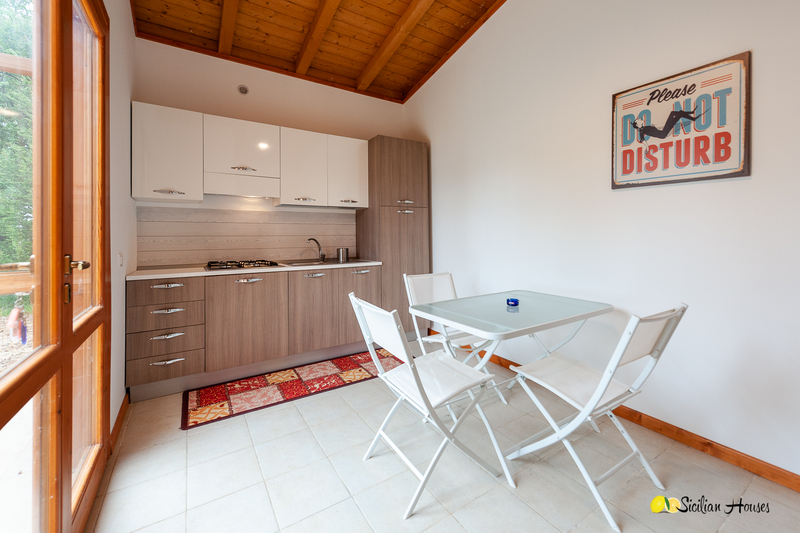 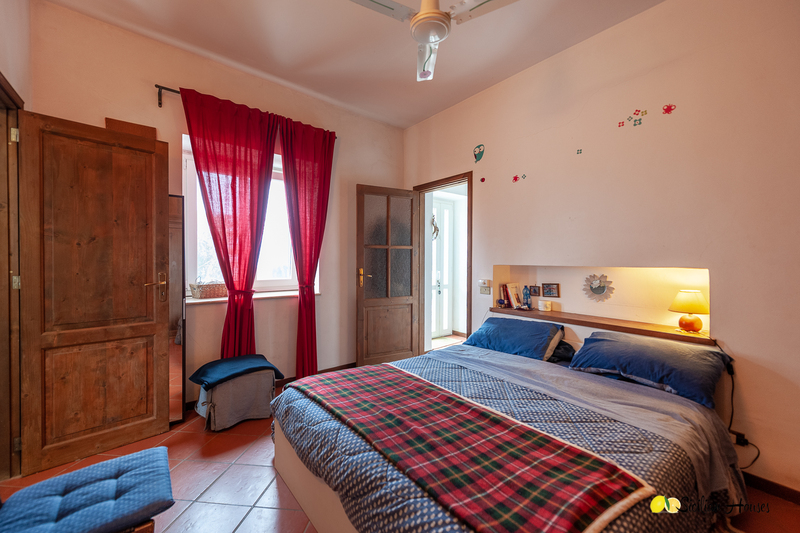 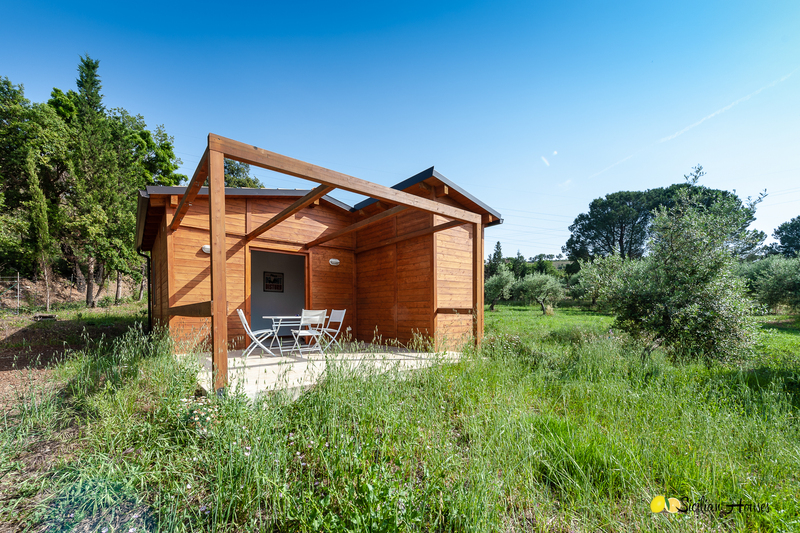 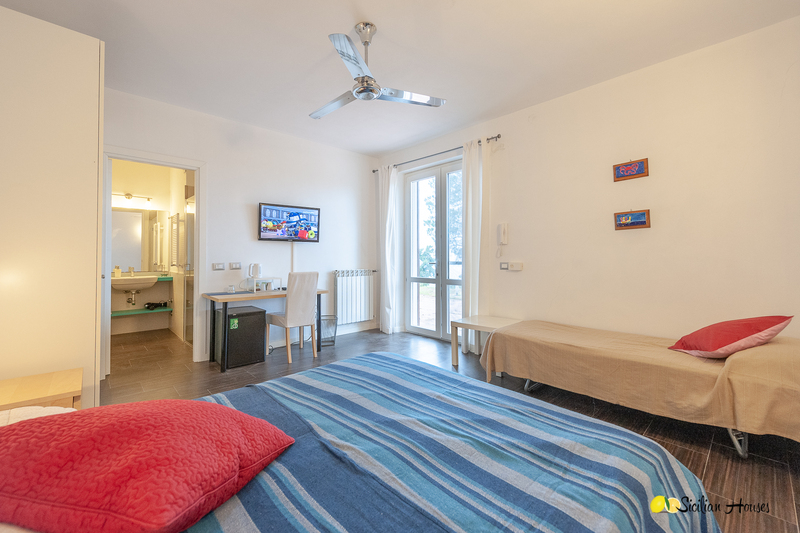 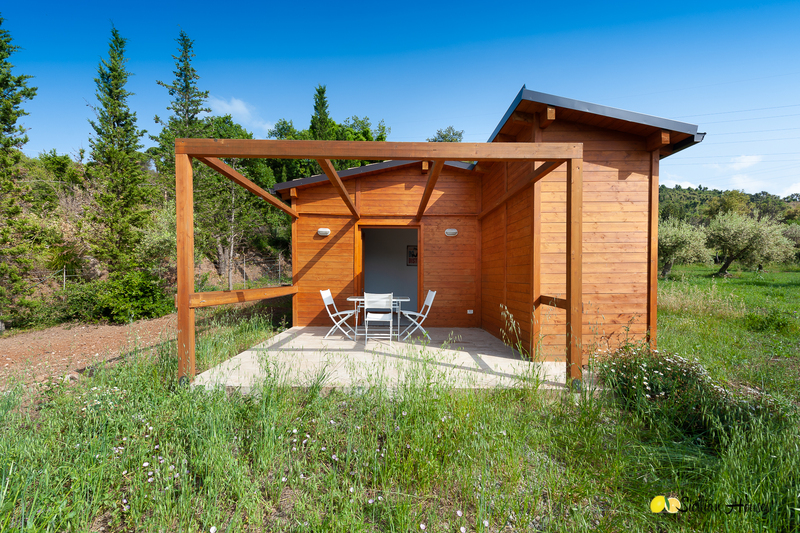 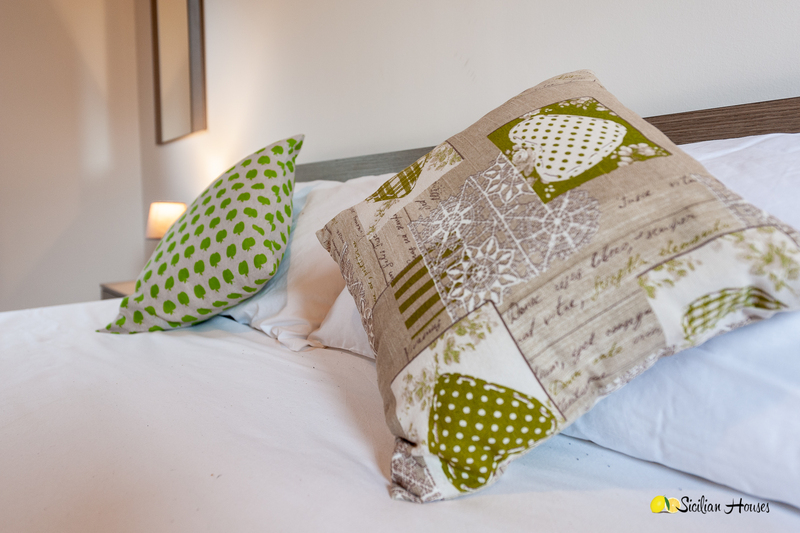 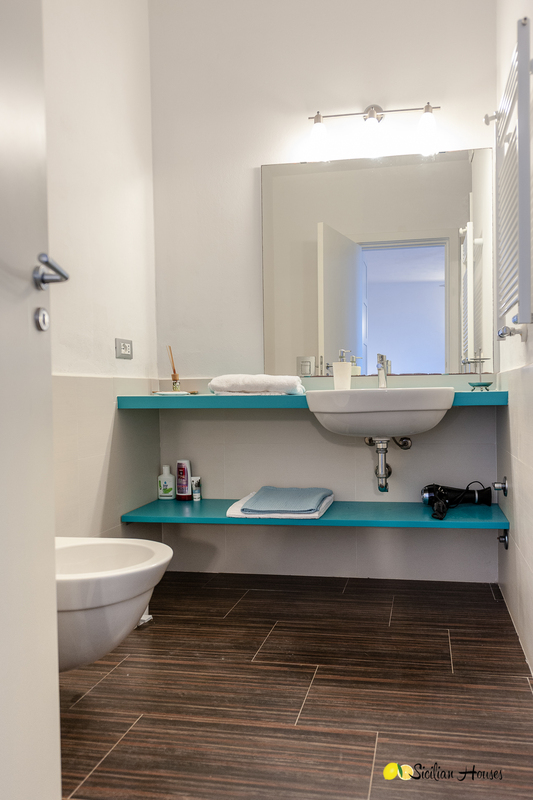 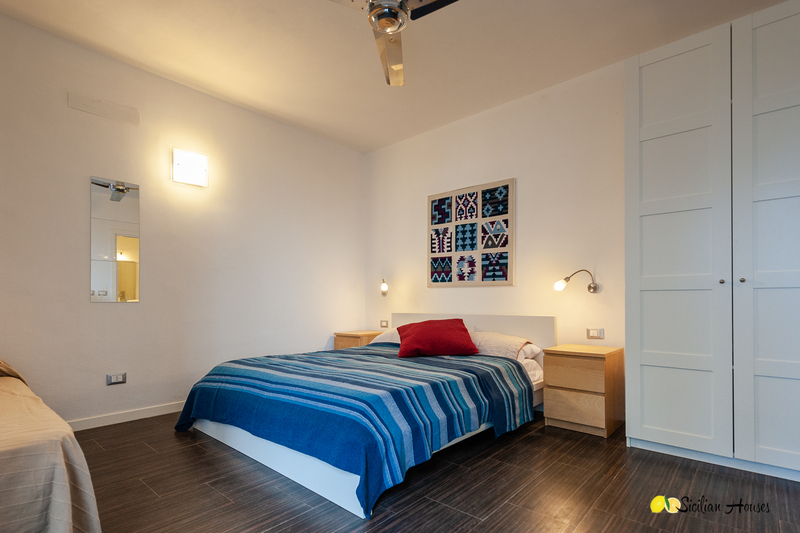 The guest accommodations are divided over five wooden bungalows of 36-40 sqm each (main room, kitchen, and bathroom) and two other building, each with two rooms with bathrooms (around 25 sqm each). 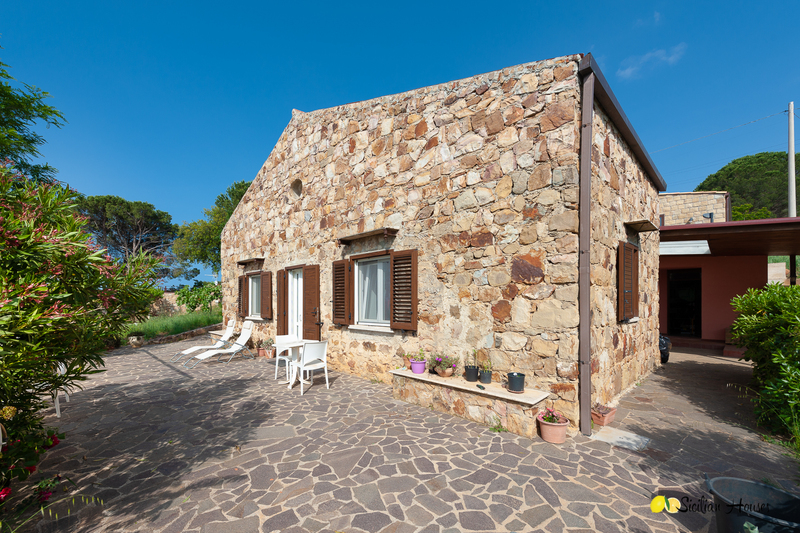 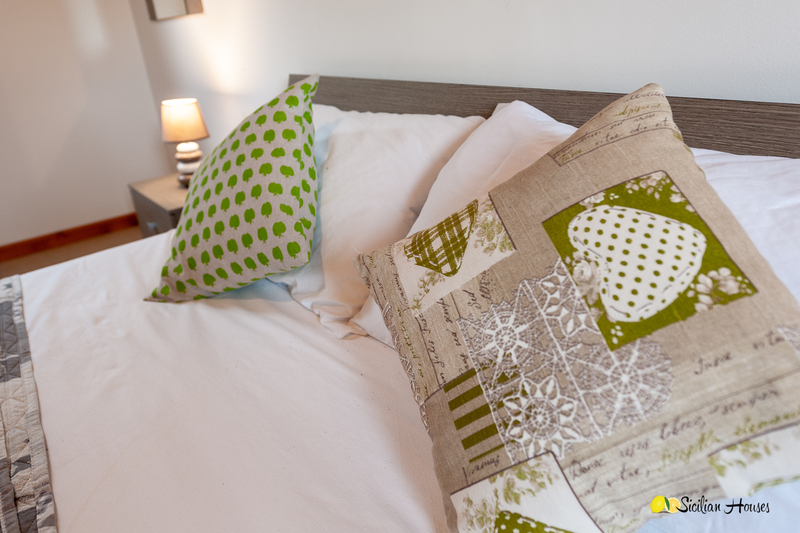 In total there are 16 beds for guests plus the stone house. 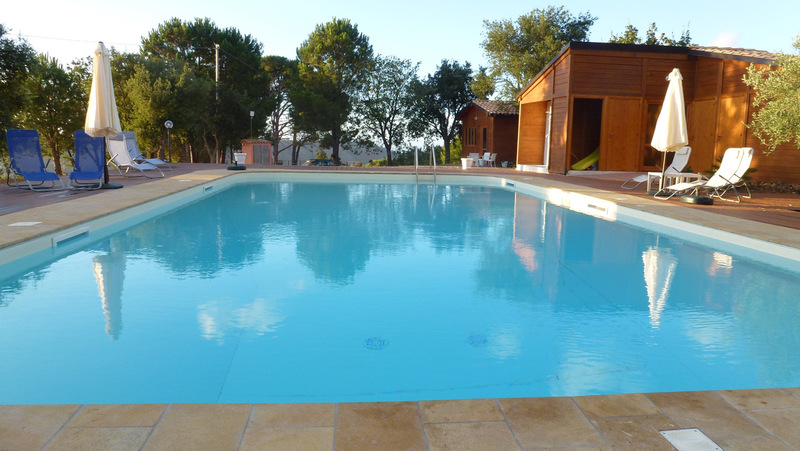 The saltwater pool is 14x7 large. 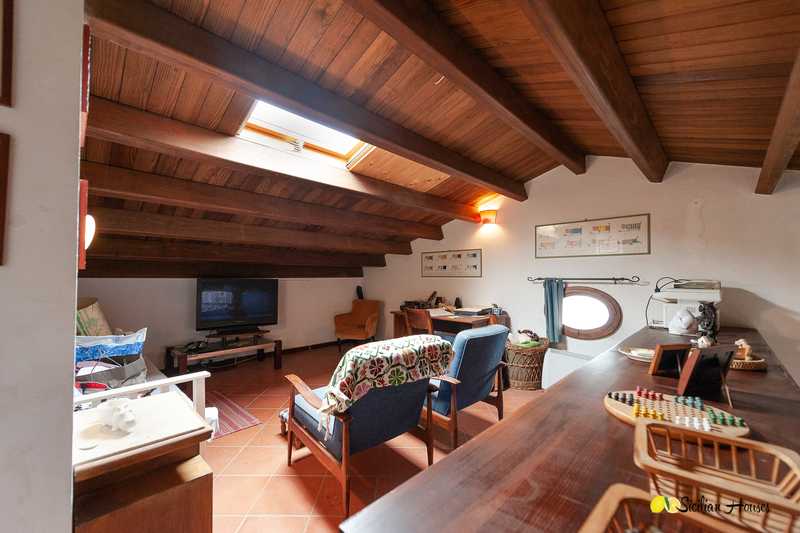 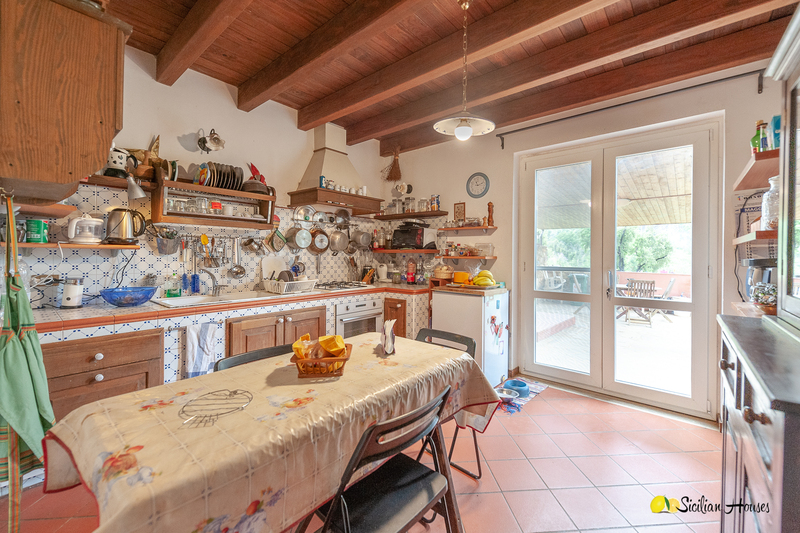 One of the wooden cottages (by the pool) is currently used as a kitchen for guests. 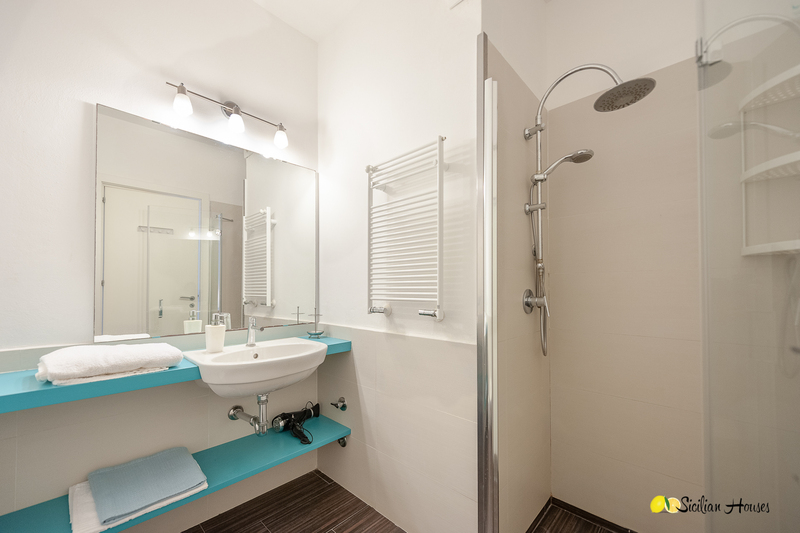 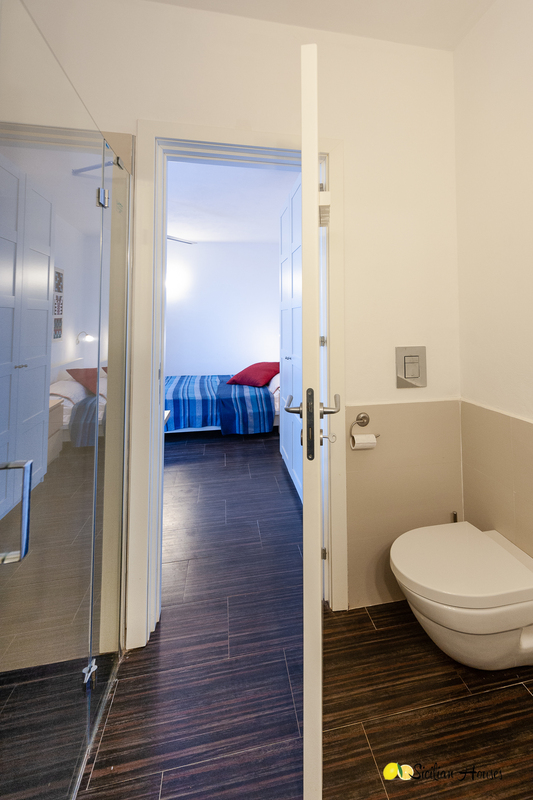 There is central heating in all accommodations. 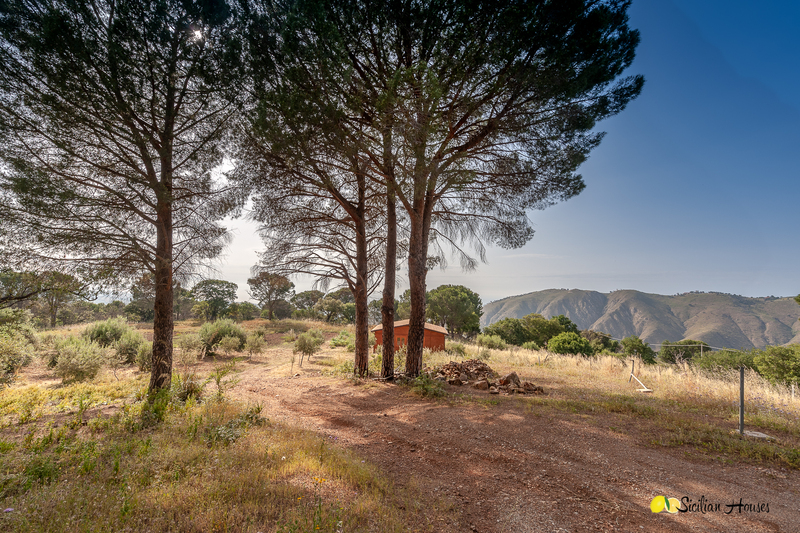 Here is also space and permit for a camping, which the current owners still haven't taken into use. 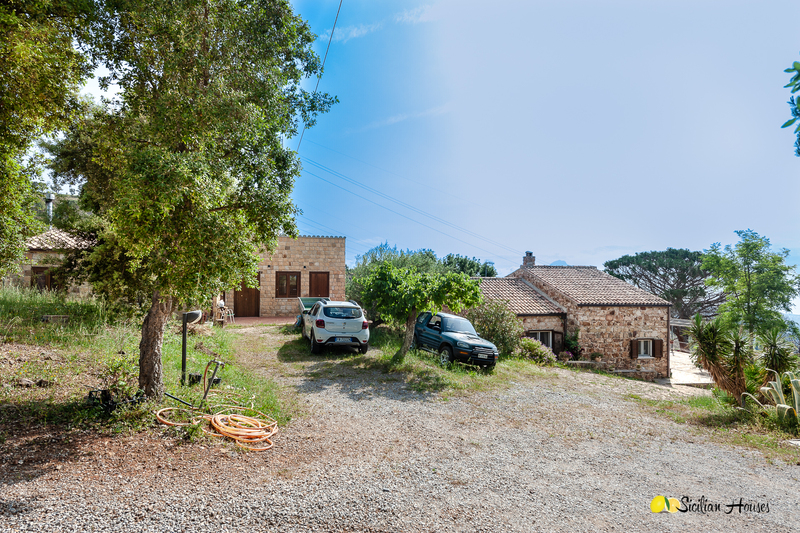 In a separate building close to the stone house is space for farming equipment, boilers etc. 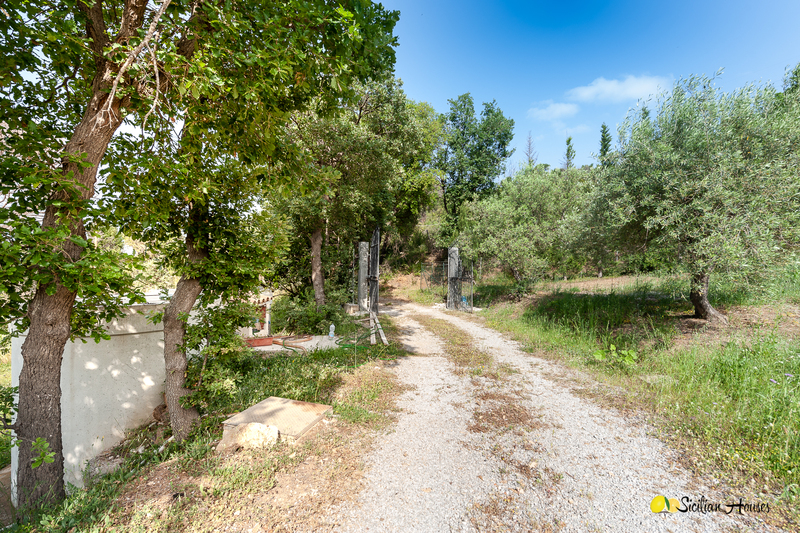 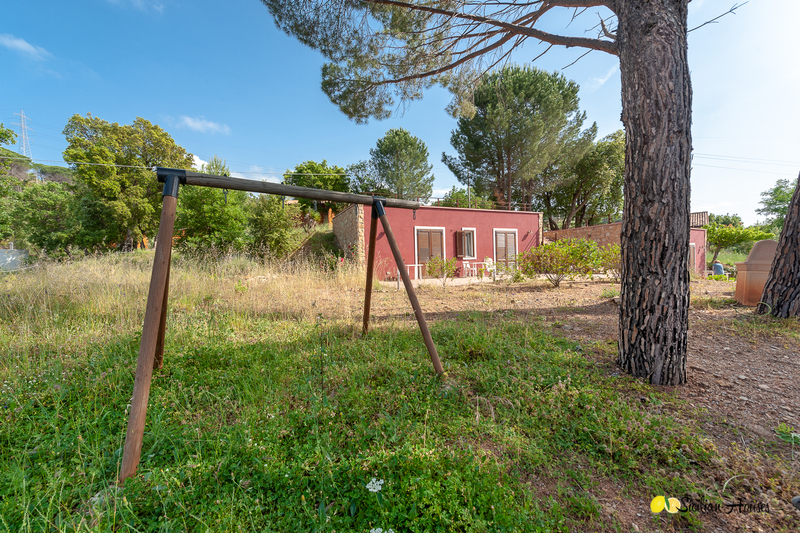 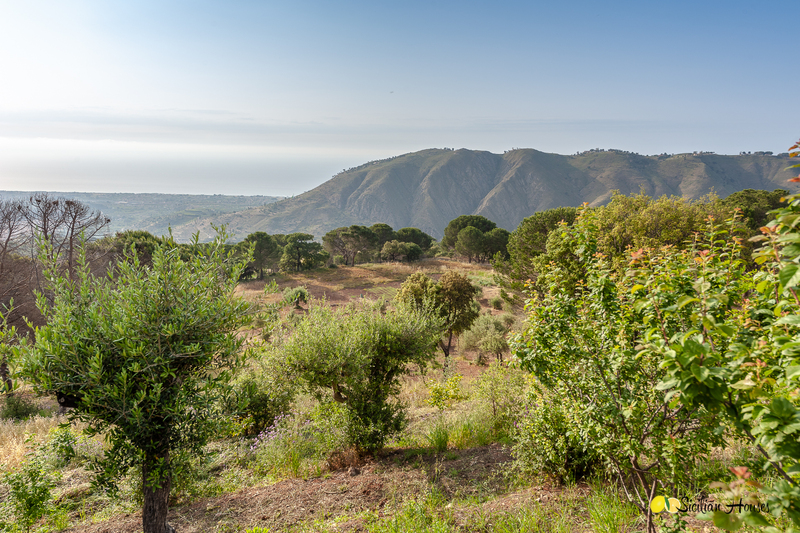 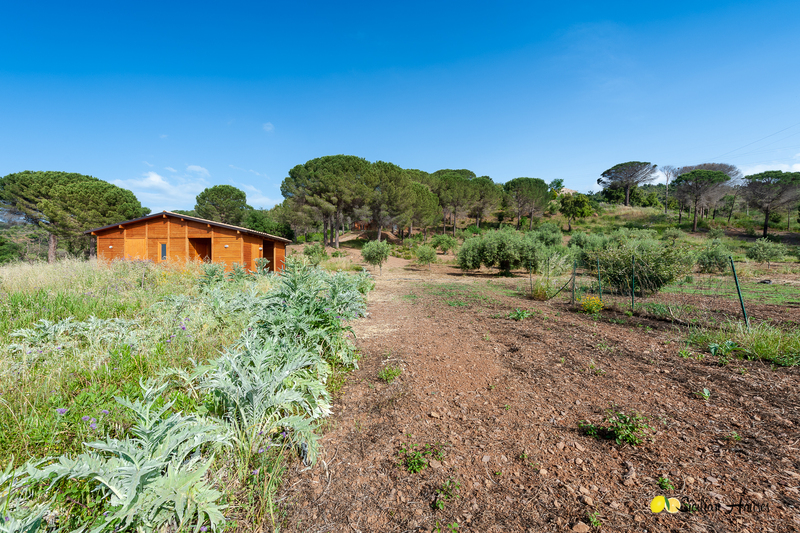 The property has 4.5 hectares of land (11 acres). 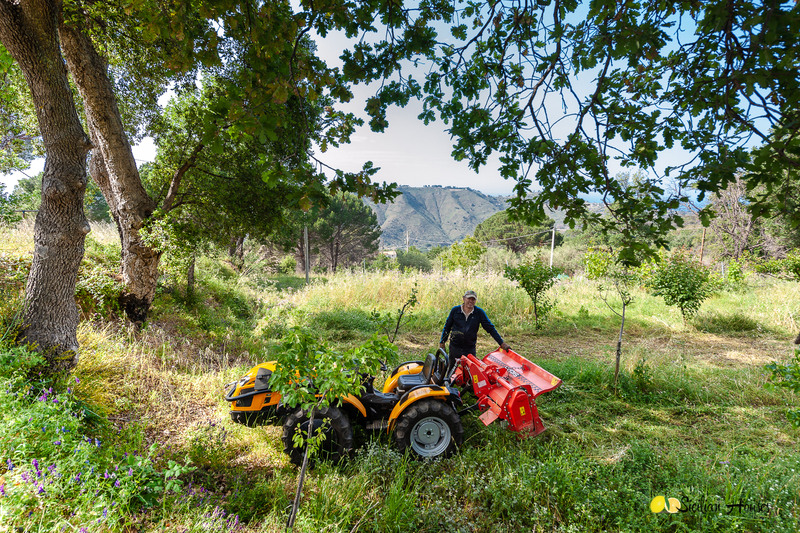 Today most of it is olives, fruit trees, and vegetables for the household, but it is possible to convert into various kinds of husbandry. 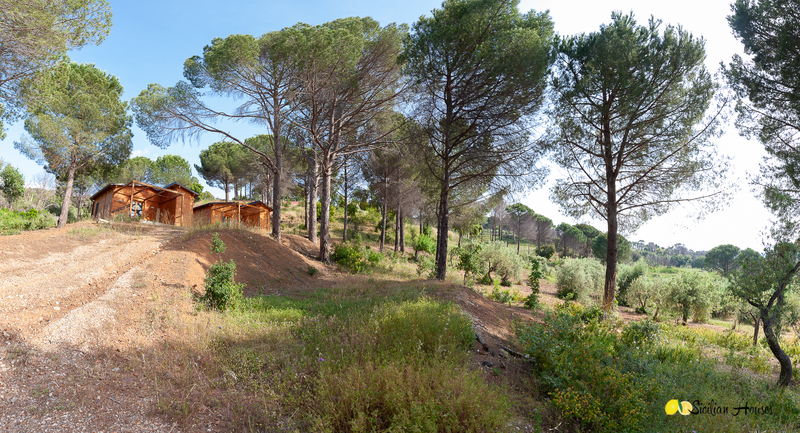 Here is a private well, a water tank of 70 m3 plus two water tanks of 10,000 liters. 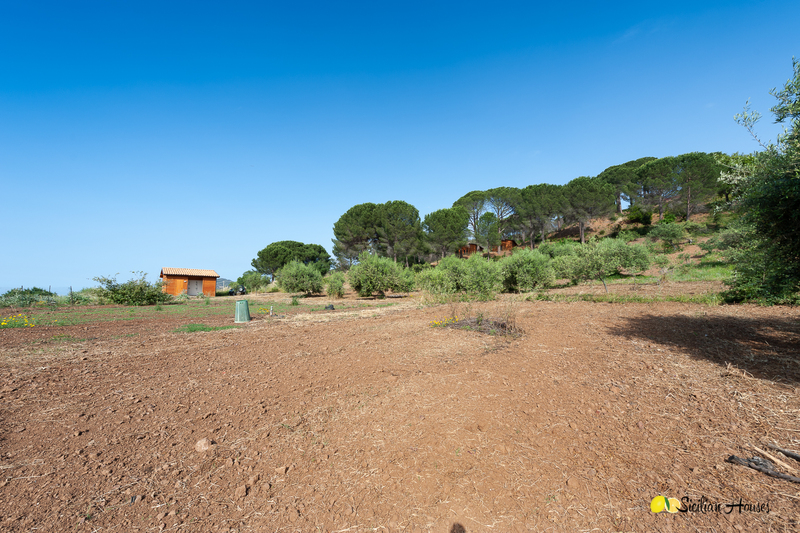 The property has got solar panels (9 kW) for water heating. 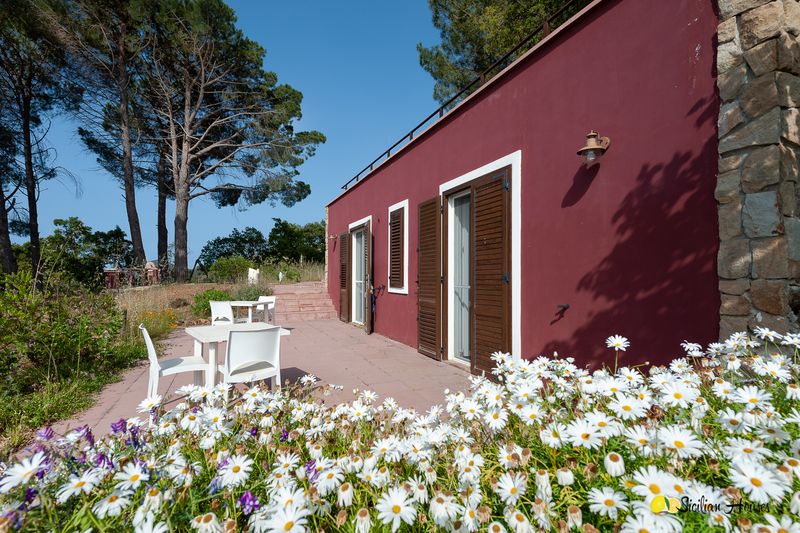 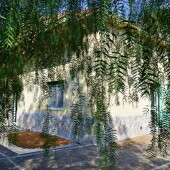 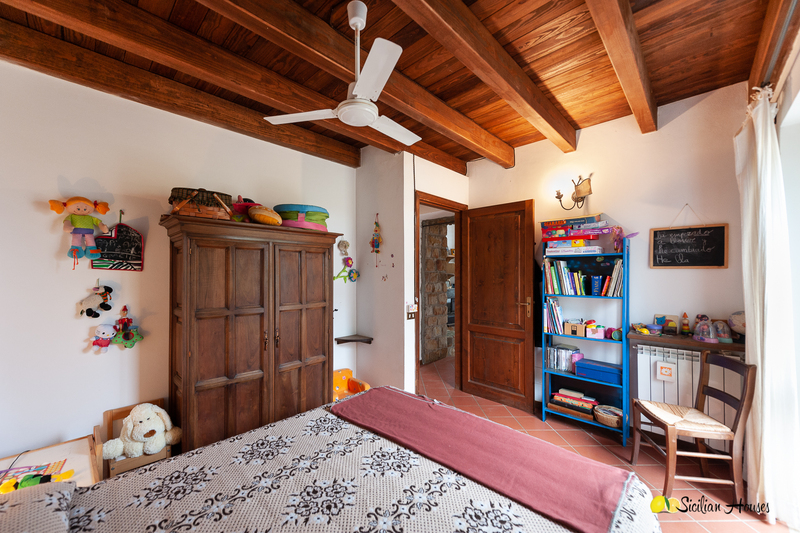 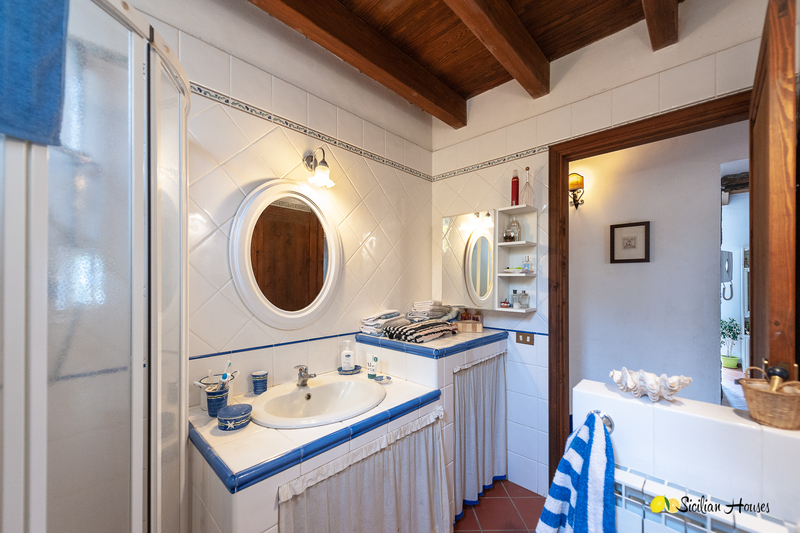 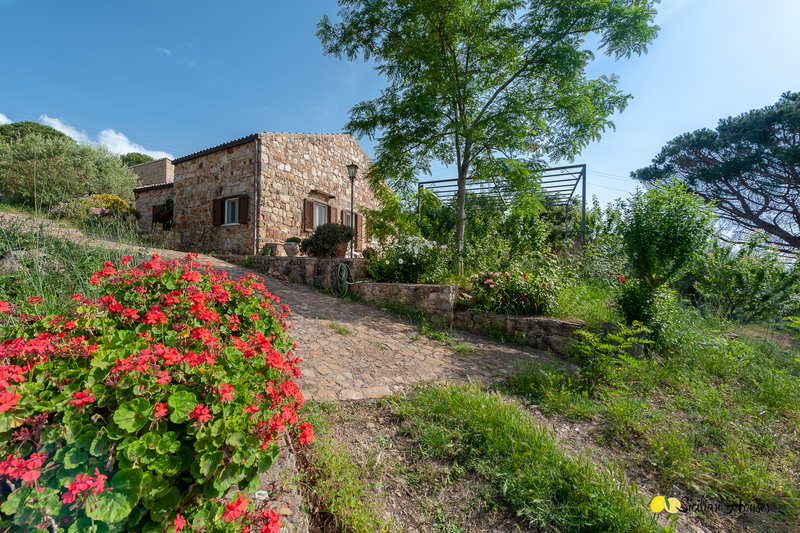 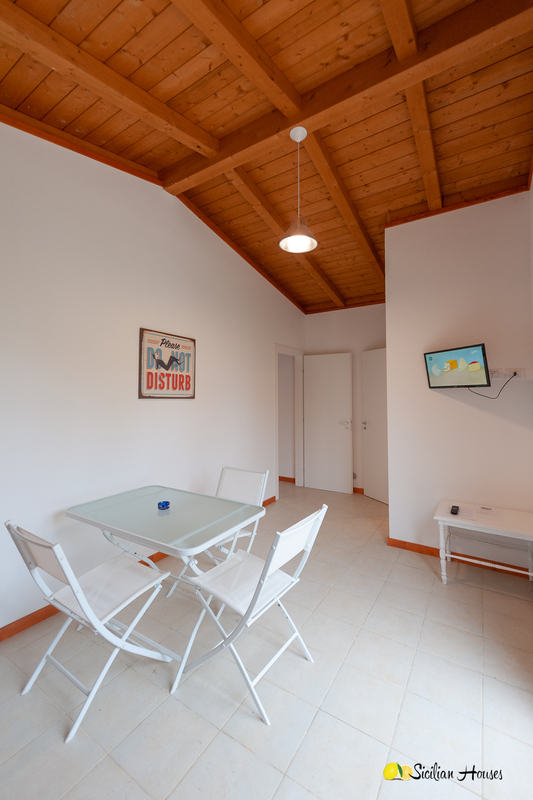 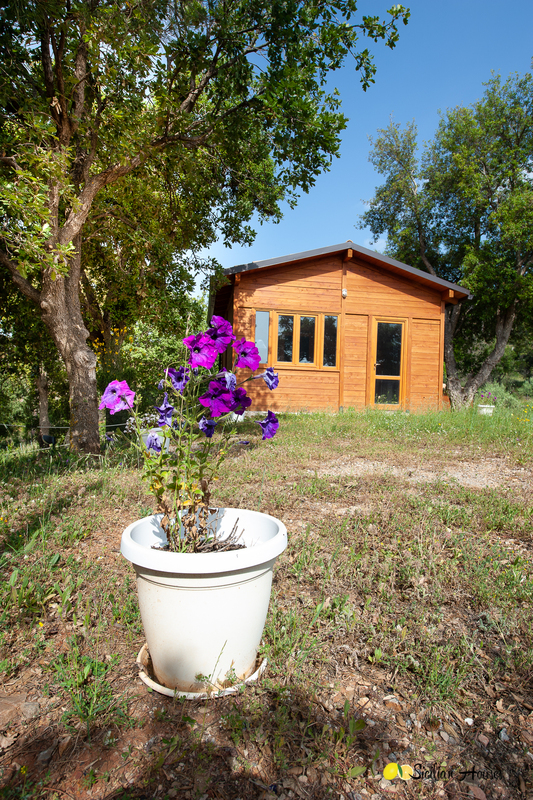 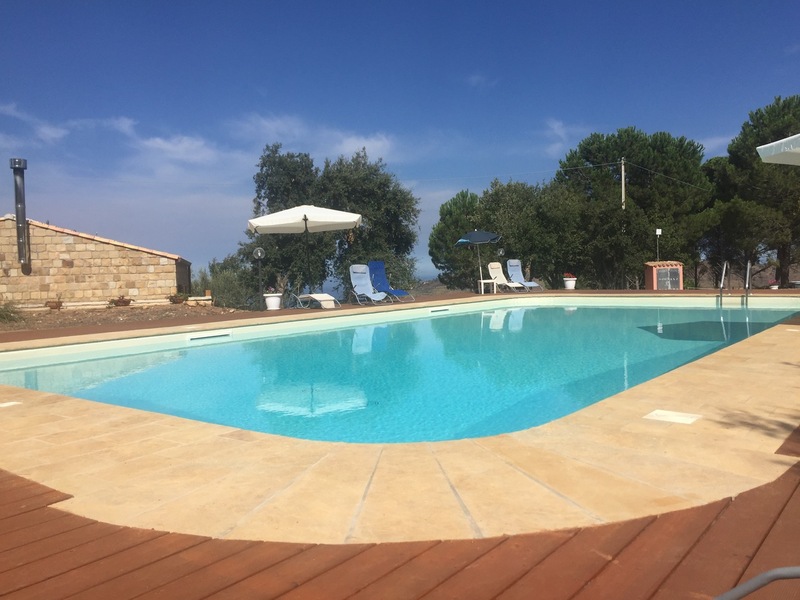 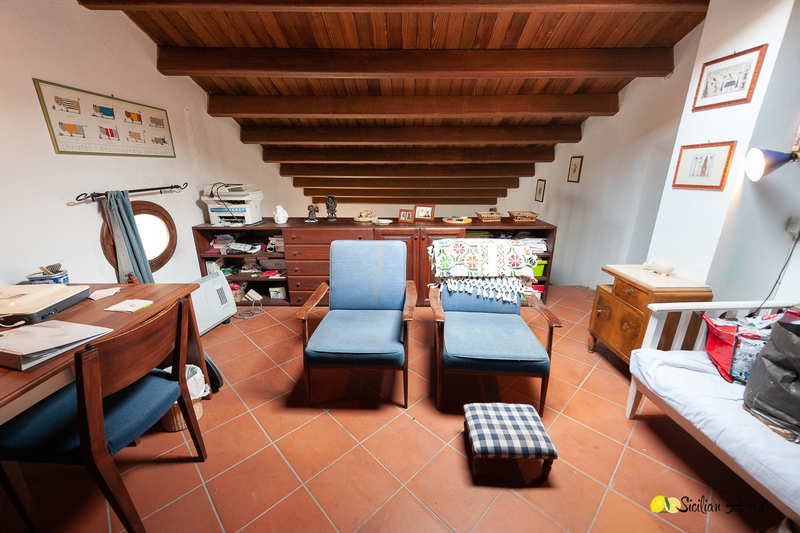 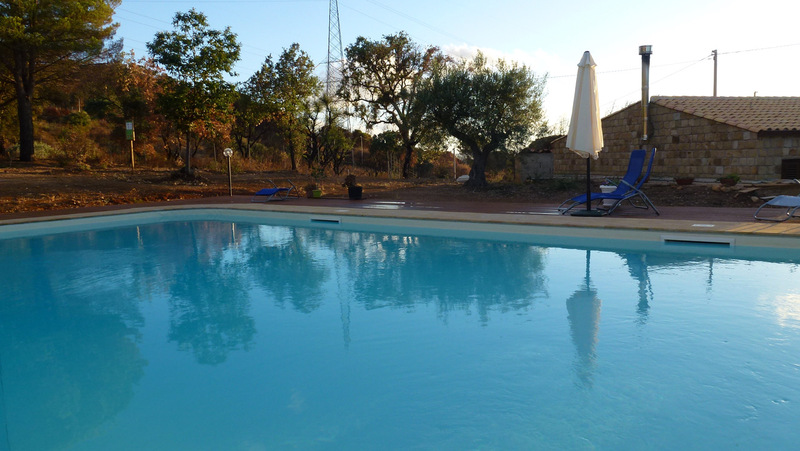 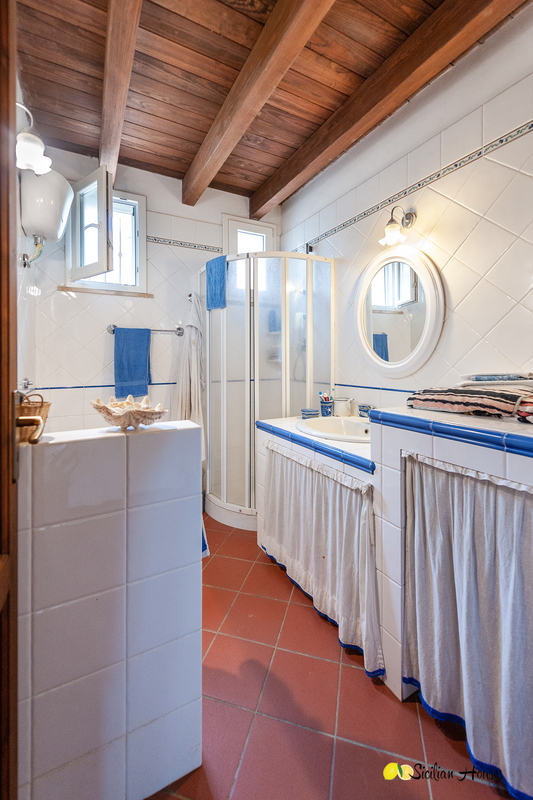 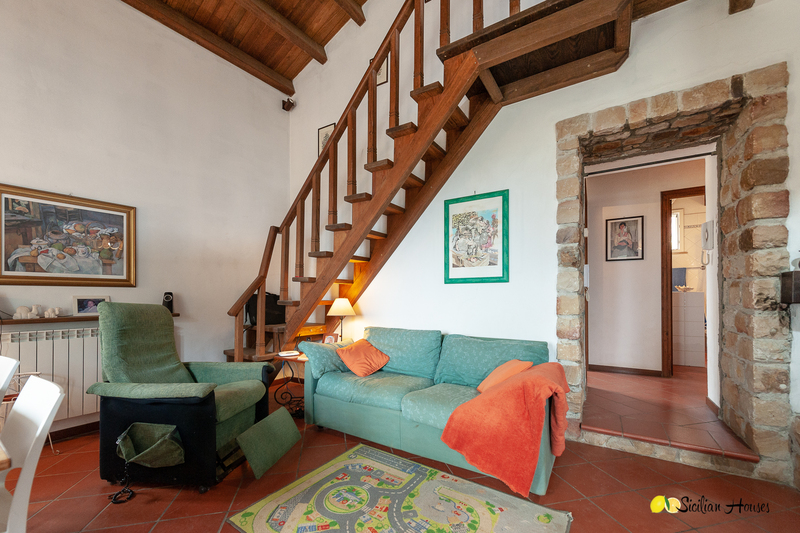 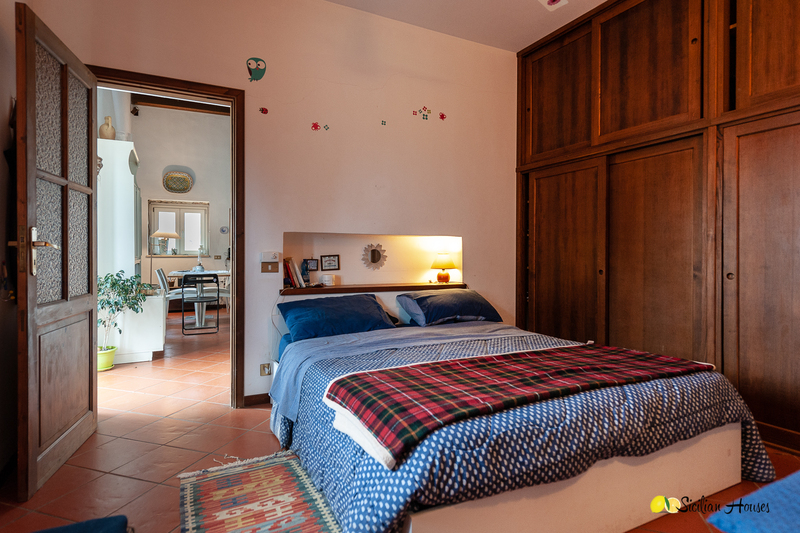 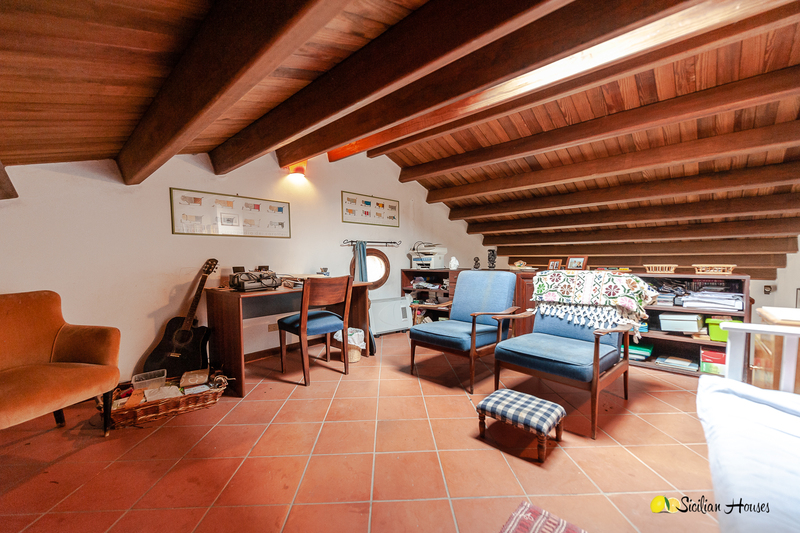 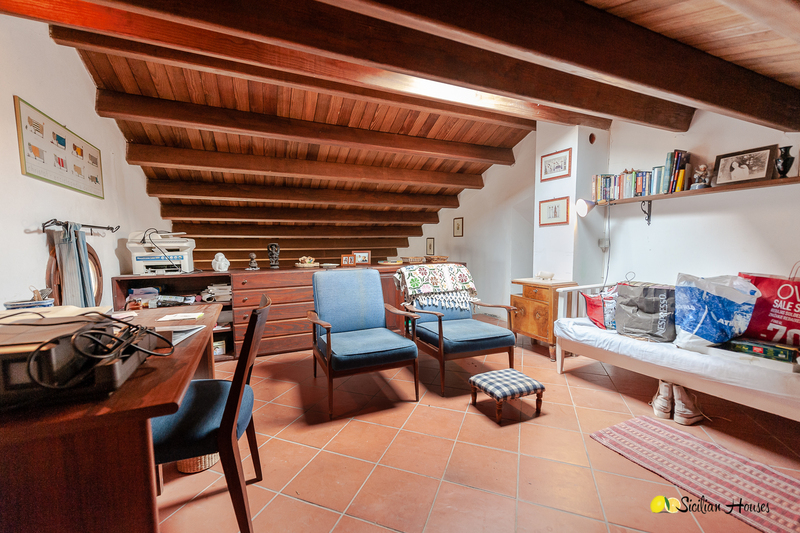 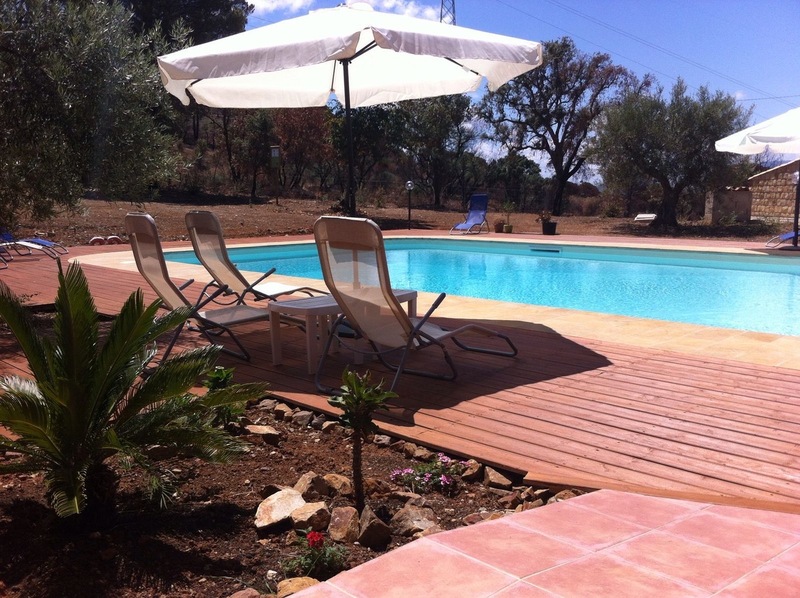 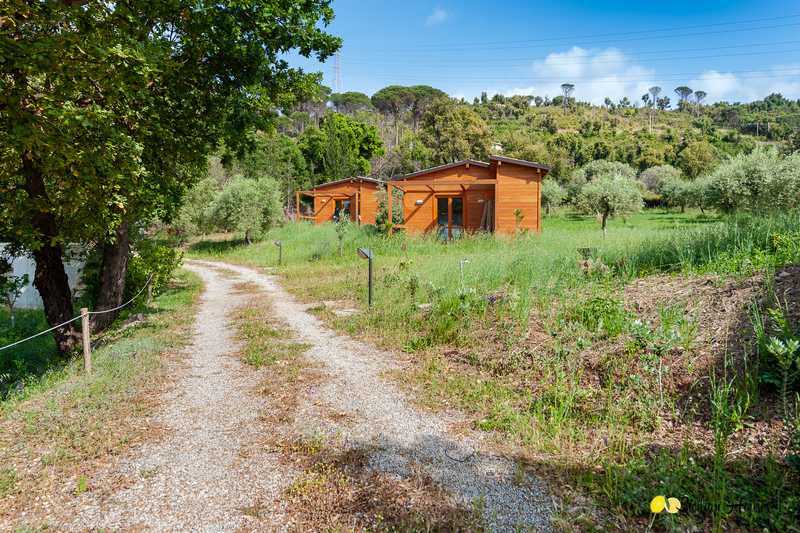 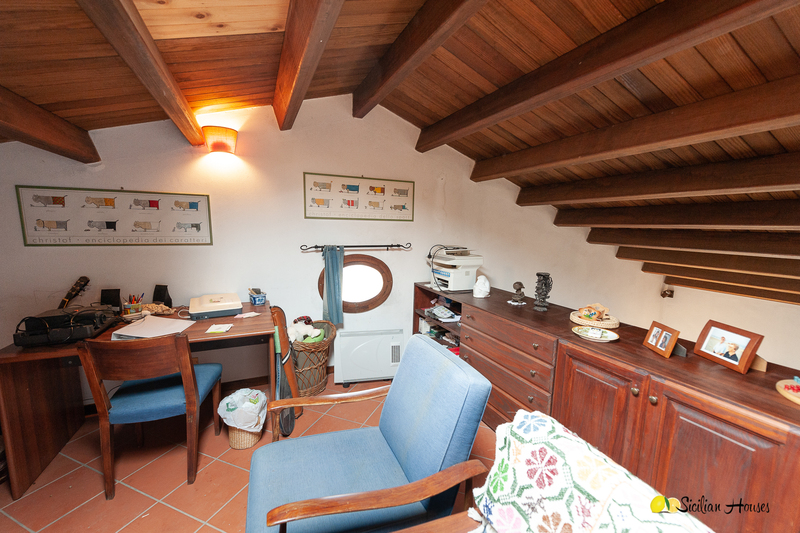 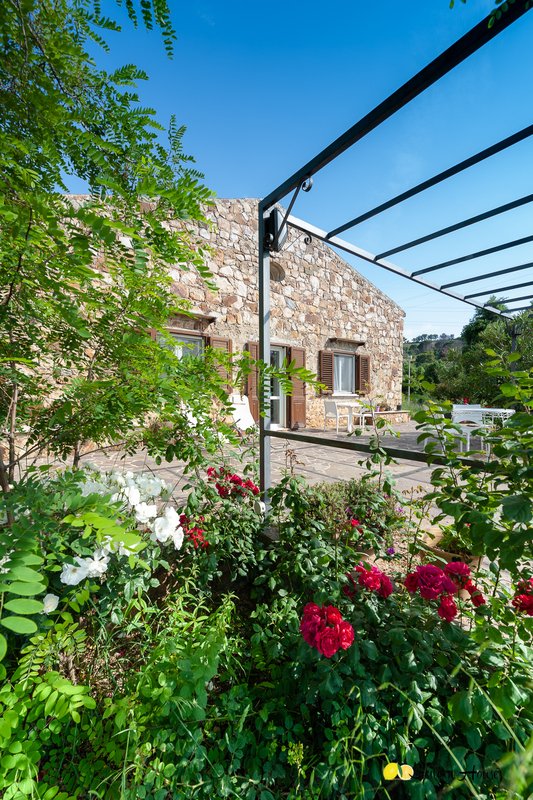 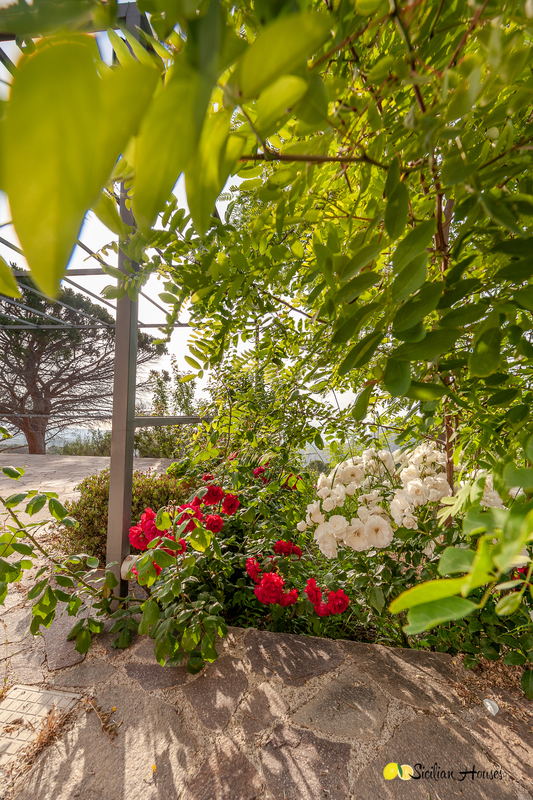 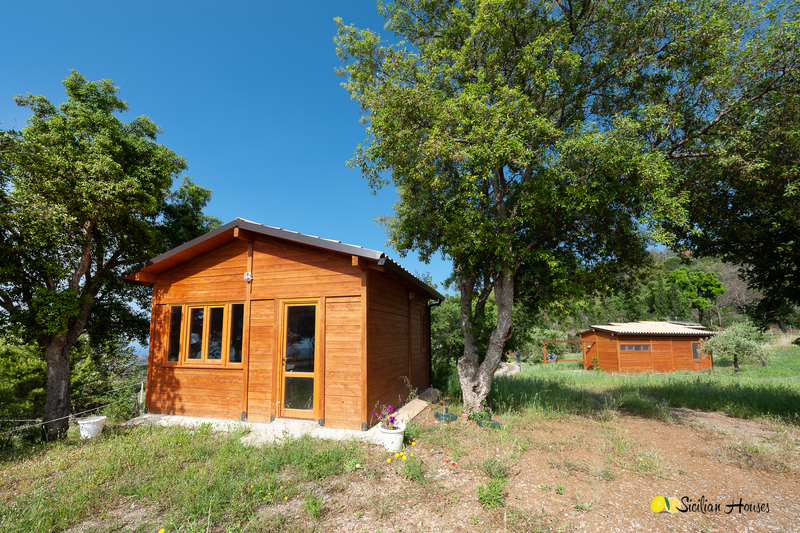 The agriturismo has been working for two summers and has got good references on booking.com. 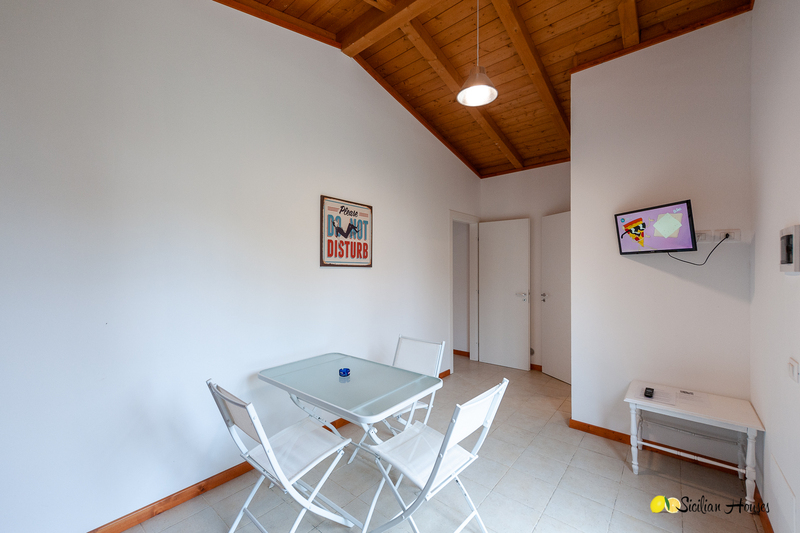 Here you can read references, prices etc: www.booking.com. 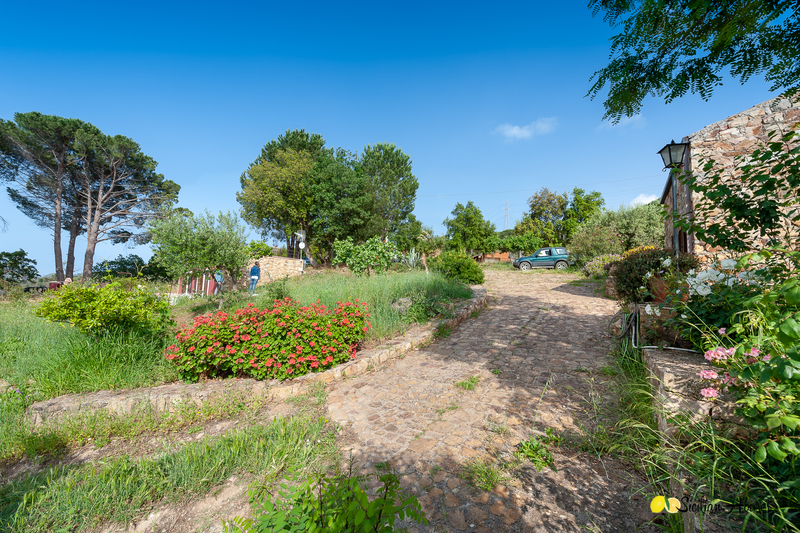 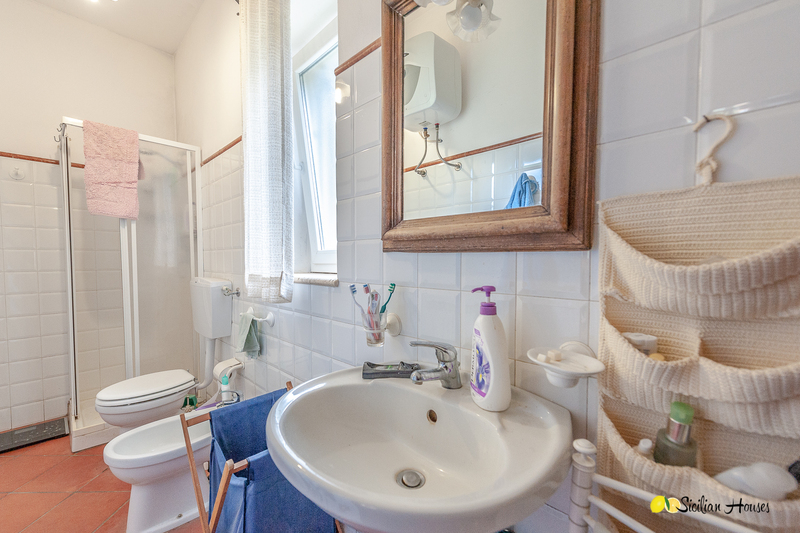 The property is very well taken care of and in good condition. 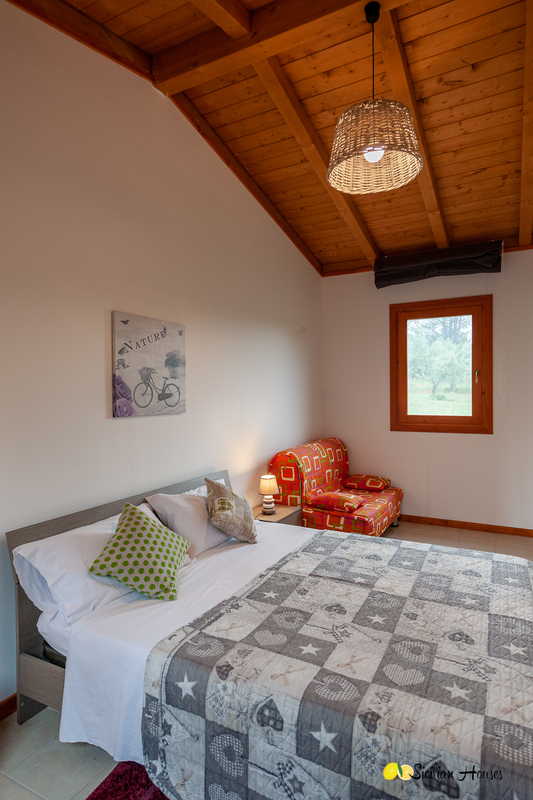 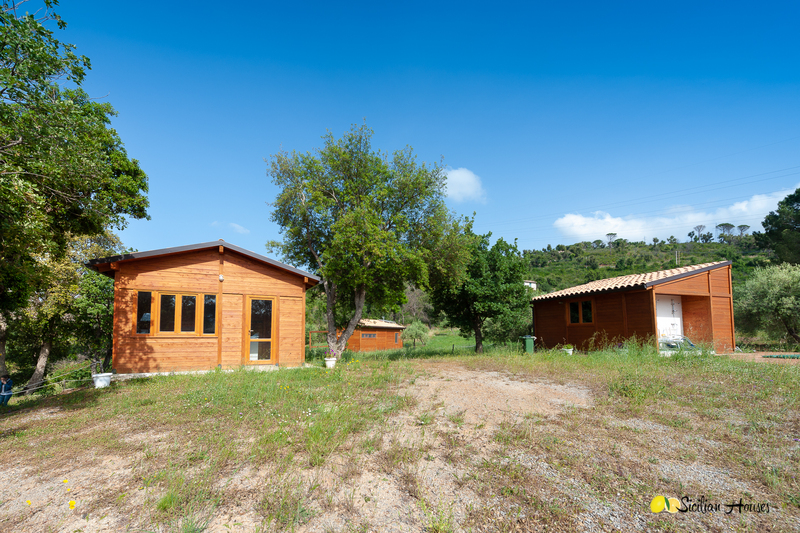 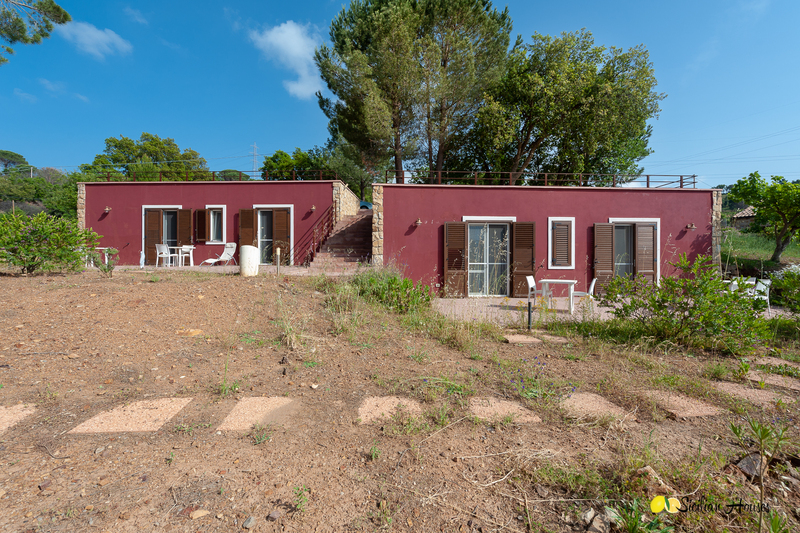 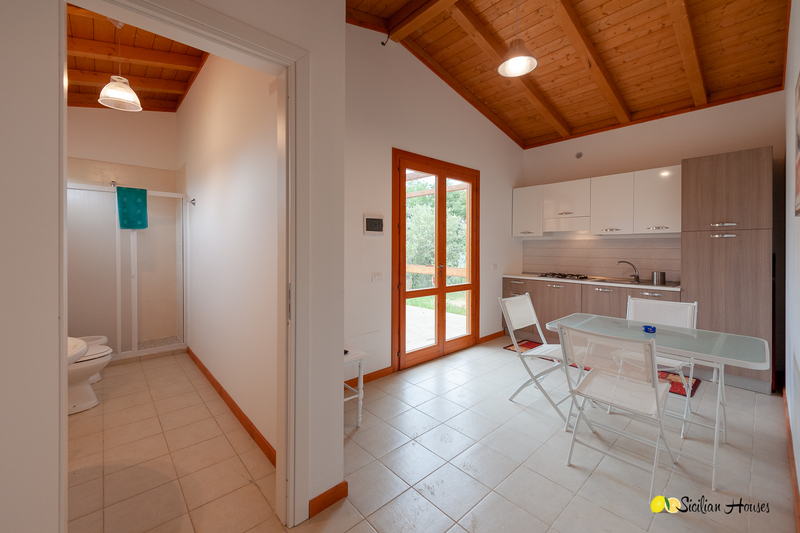 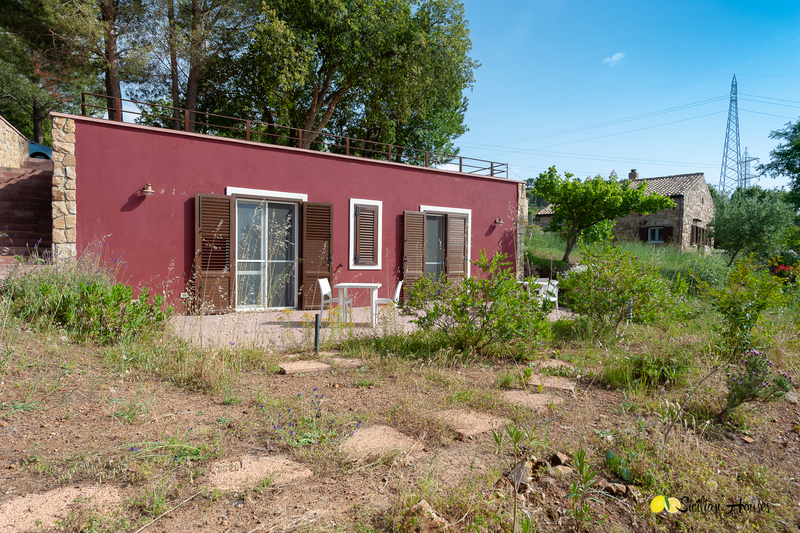 Here you can read more about agriturismos.